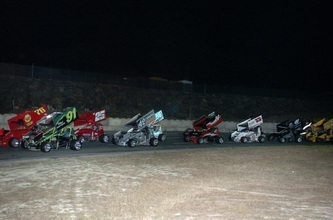 Western Speedway hosted the 51st Annual Daffodil Cup race on Saturday night in front of a huge crowd to watch Trophy Dashes, Heat races, and two Feature events with the WilRoc Lites and the NSRA and WilRoc Sprint Car Series sponsored by P&R Truck Centre/Western Star, and Richlock Rentals. 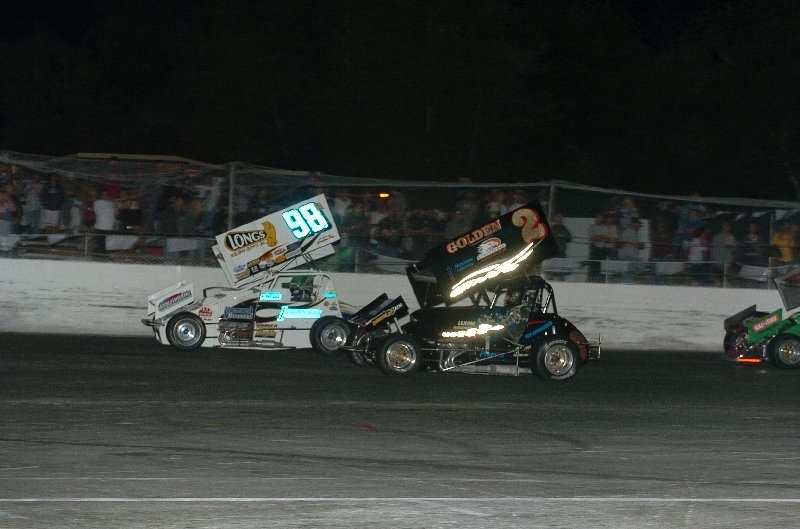 Trophy Dash wins went to Jeff Bird and Duane Zeinstra in the WilRoc Lites while Matt Hein and Marty Venoit picked up Dash victories in the Sprint Car Series. 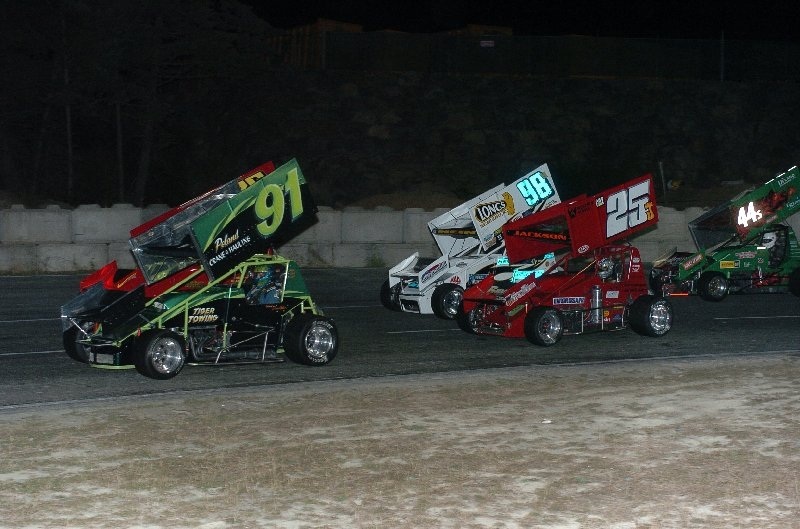 Heat race victories went to Jeff Bird and Robbie Haslam in the Lites Series with Matt Hein and Scott Aumen picking up dramatic wins in the Sprint Car Series. 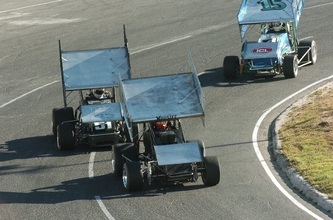 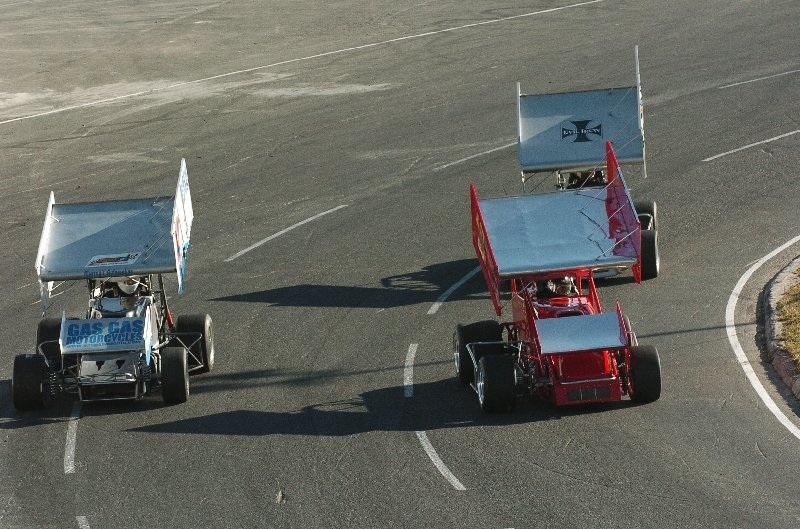 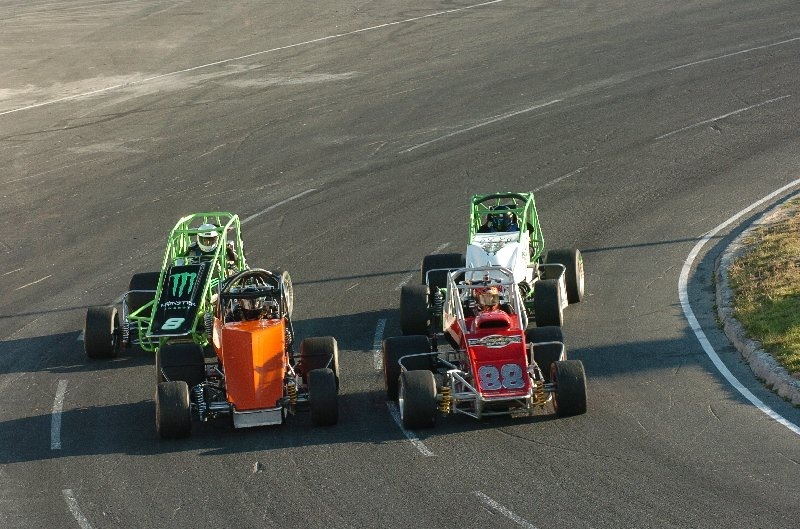 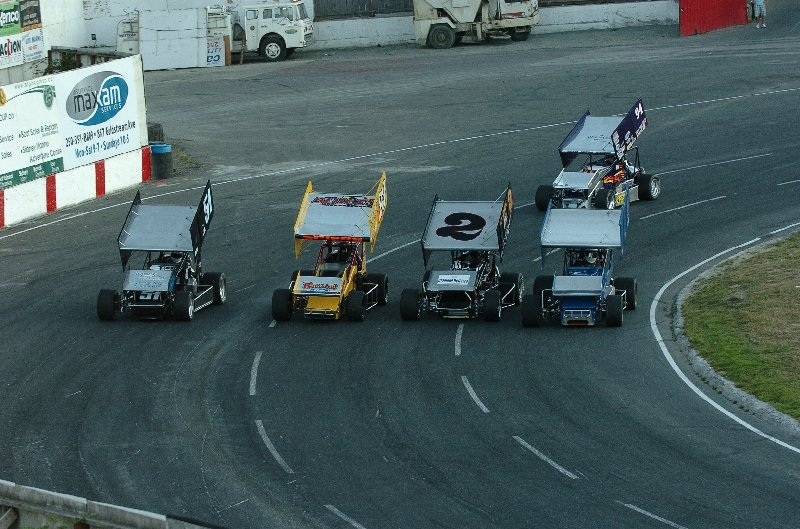 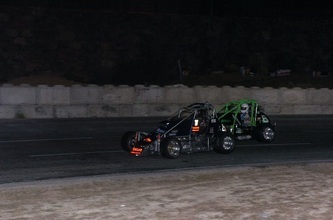 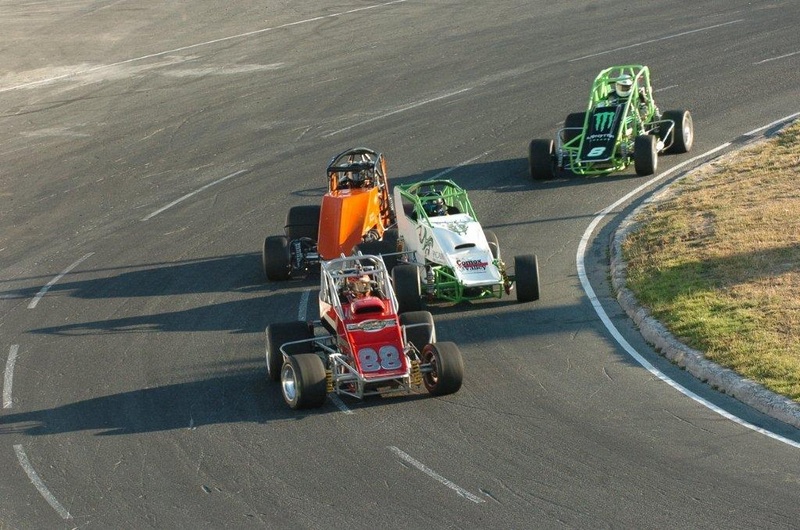 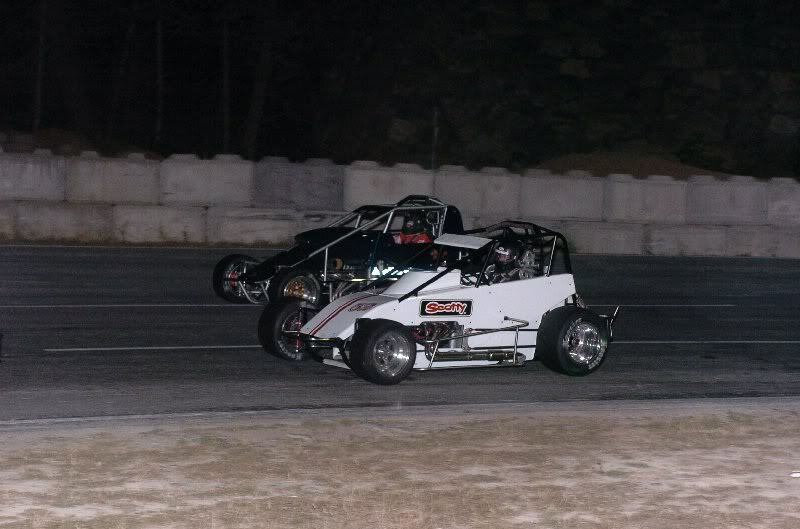 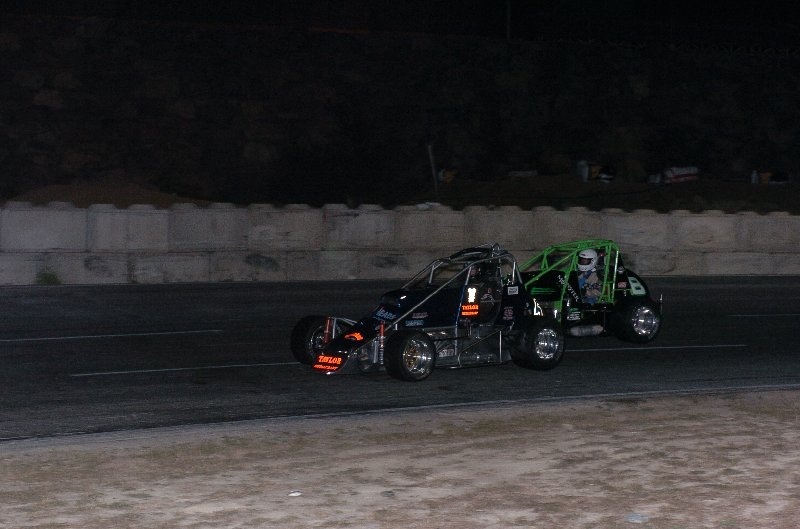 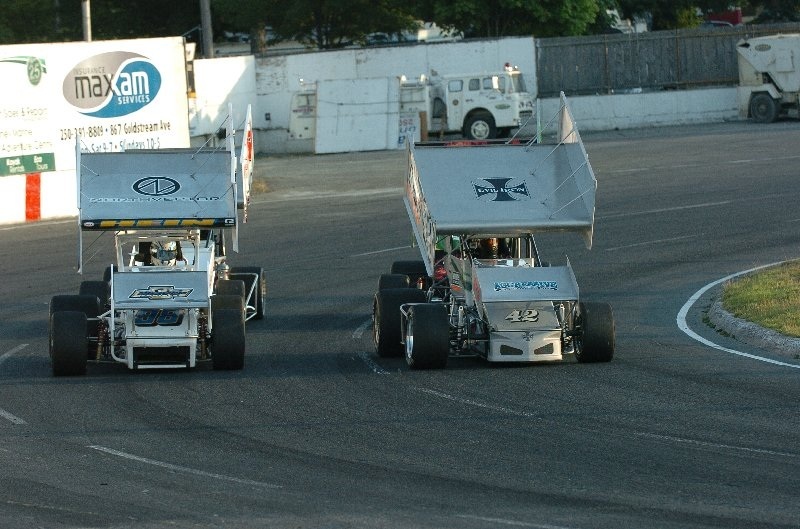 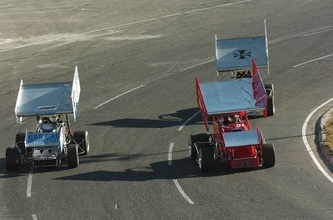 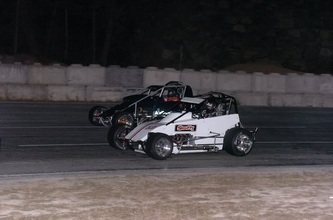 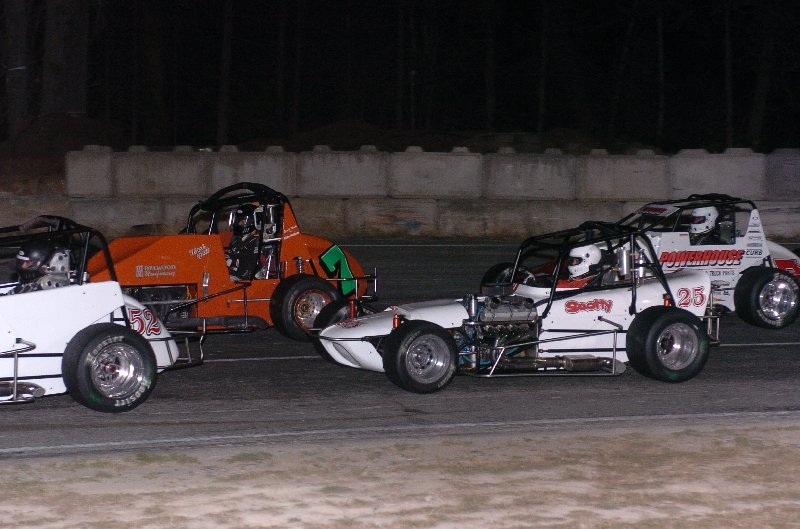 In the "A" Heat for the WilRoc Lites, Jeff Bird, Stephen Dardengo, and Marc Parkinson were racing three wide going through turn three and four in a good battle for the lead. With only one lap remaining Parkinson pulled into the pits as Bird went on to the chequered flag. Duane Zeinstra tried to get around Rob Haslam for the win in the "B" Heat but Haslam shut the door and went on to the win in the Lites Series. 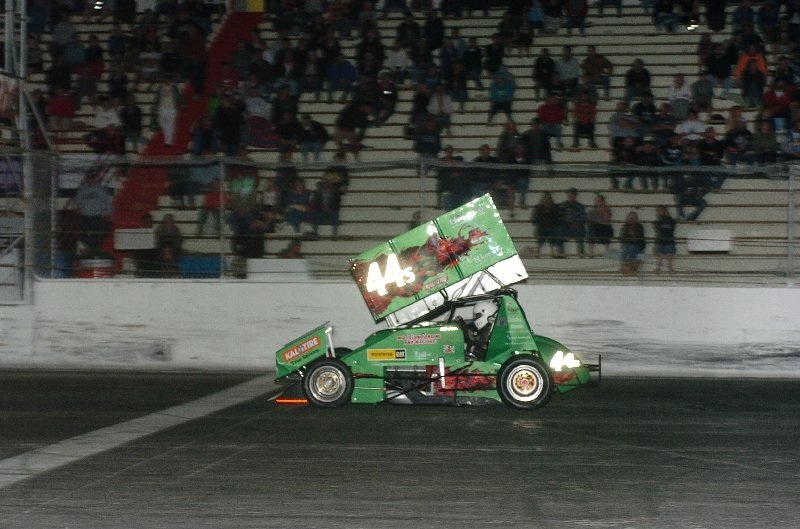 Randy Vincent led most of the race in the first Heat for the Sprint Cars but lost a drag race by just a few feet to Matt Hein for the chequered flag. 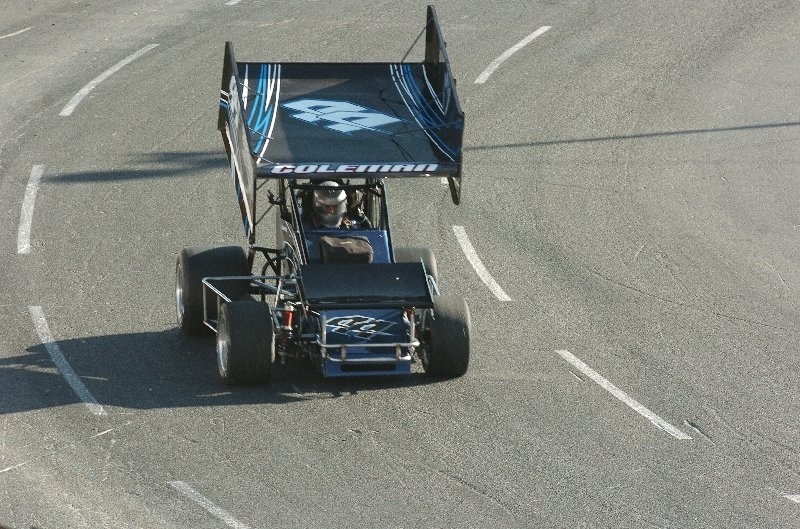 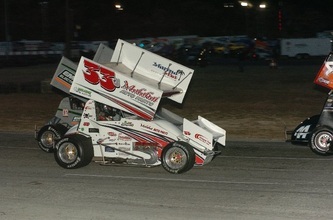 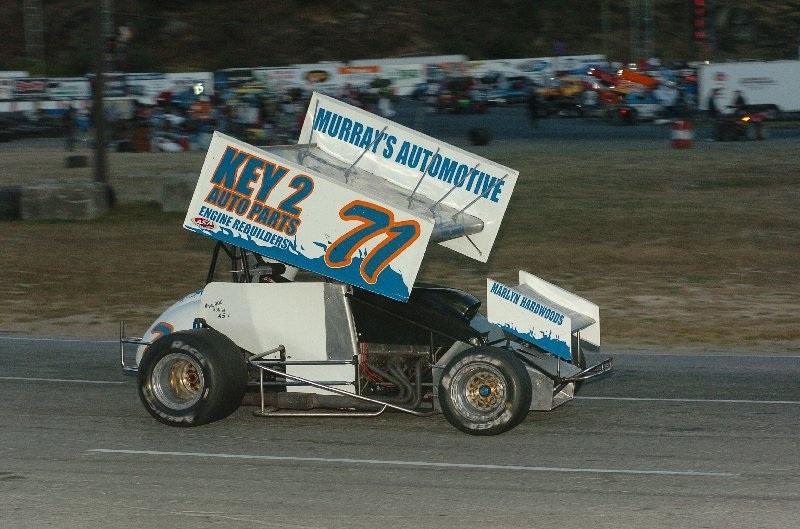 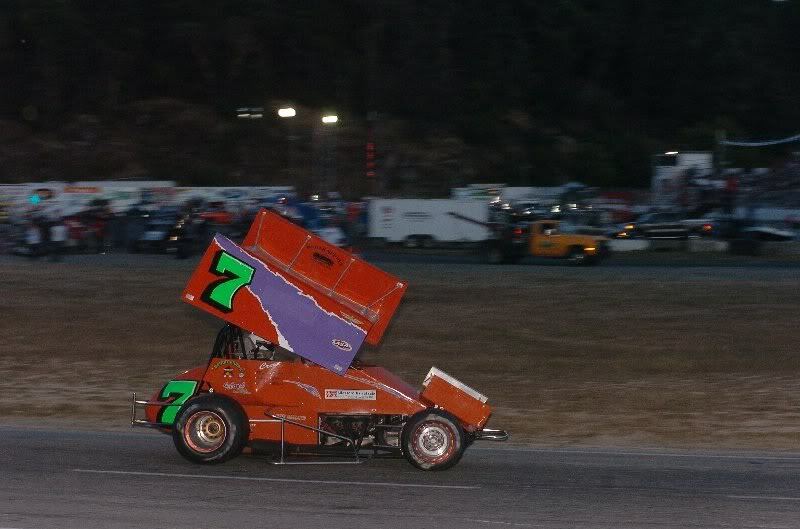 In the second Heat, for the Sprint Cars, the yellow flag came out early as Rob Scott had a problem with the rear axle in his car after just two laps. 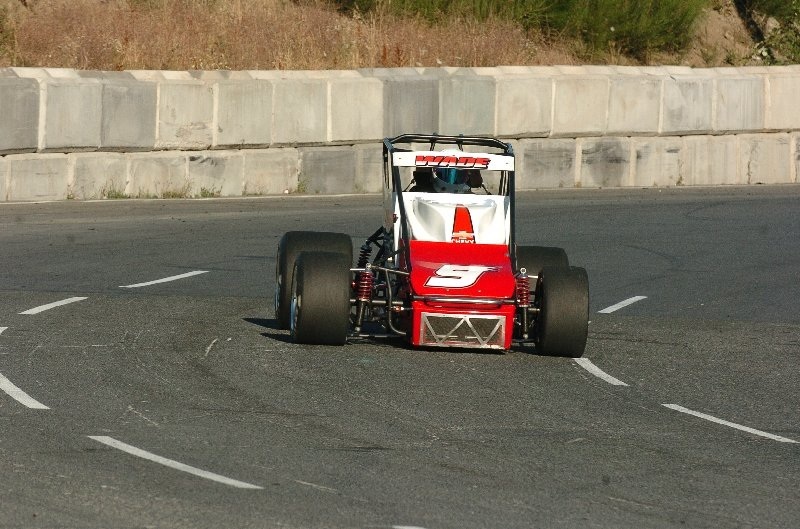 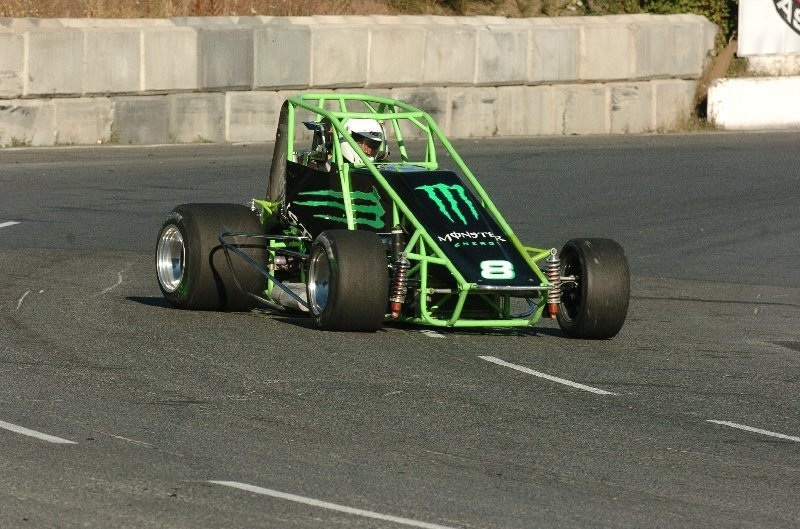 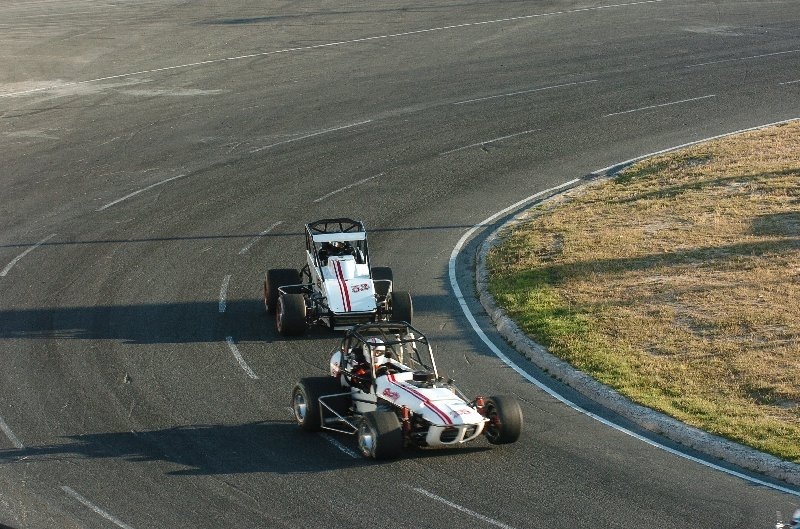 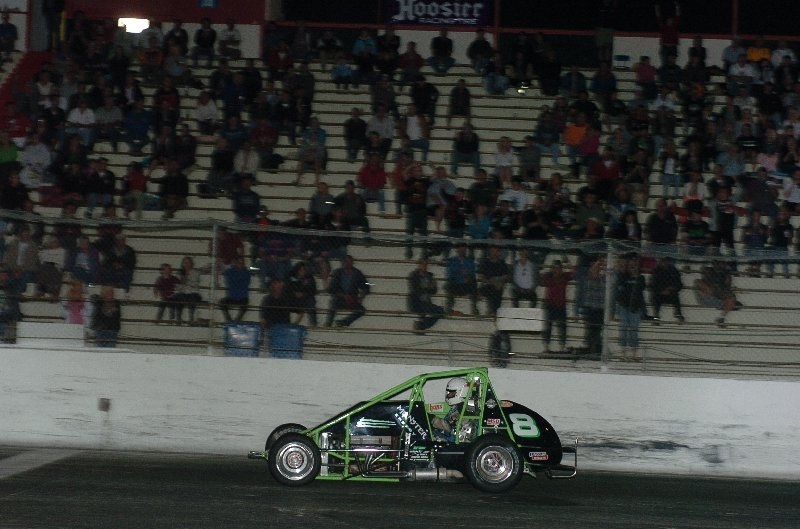 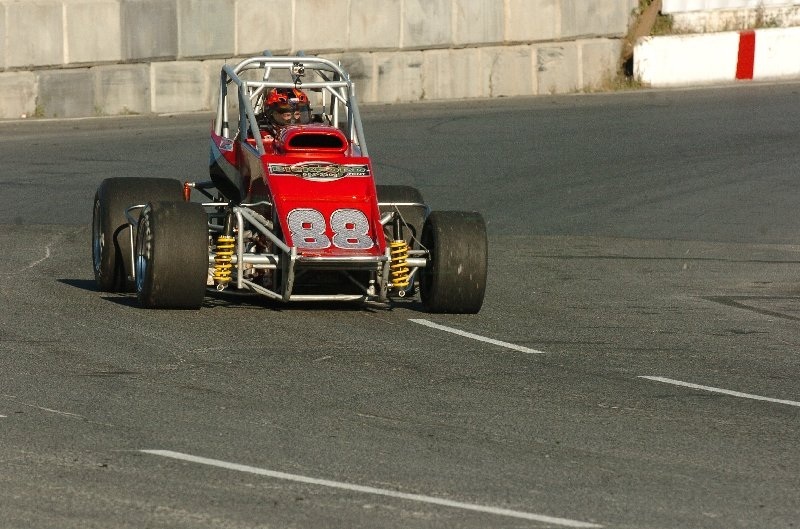 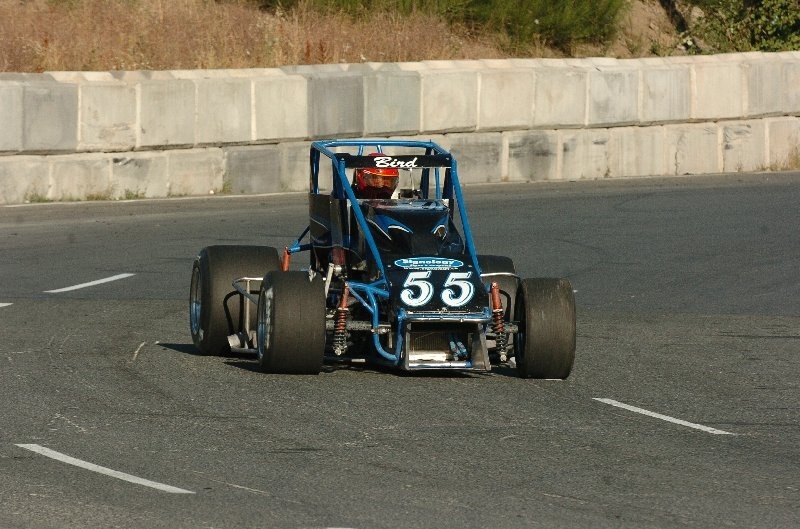 On the restart, Scott Aumen waisted little time in blowing by both Mark Fisher and Sierra Jackson using the outside groove through turn three and four and grabbed the second spot. 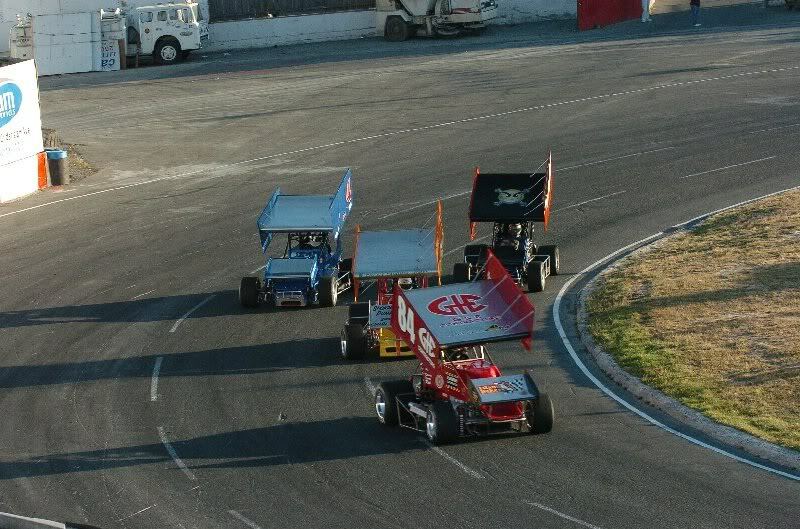 On lap six, the yellow came out again as Sierra Jackson and Matt Mansell touched tires sending Mansell backwards into the wall between turn one and two ending his night. 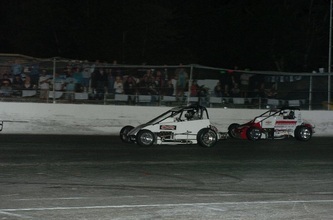 On the last lap Aumen again used that slide job and blasted by Chris Schmelzle and took the win in dramatic fashion. 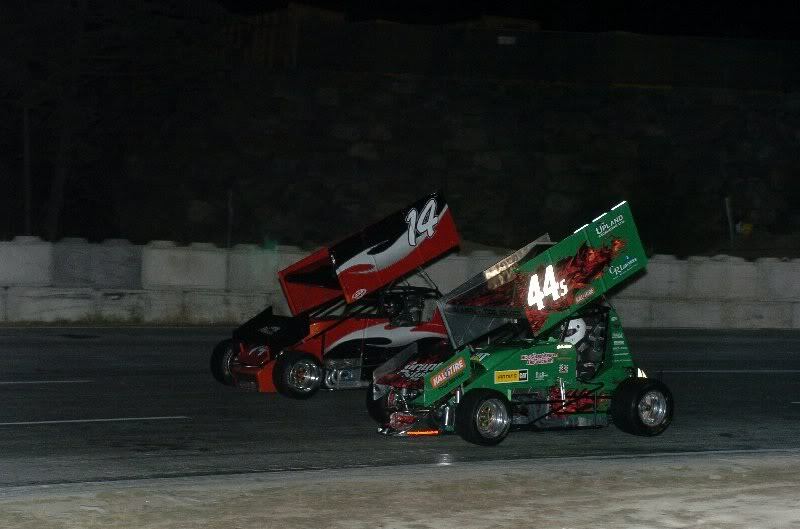 Guy Barrett and Todd Coleman tangled on the very first lap in turn four and both cars went hard into the wall tearing the front end almost completely off Barrett's car and bringing out the red flag. 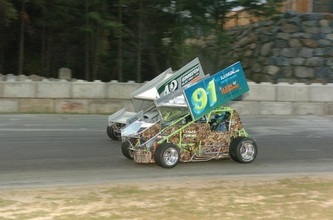 He was shaken up a bit but both cars were finished for the night. 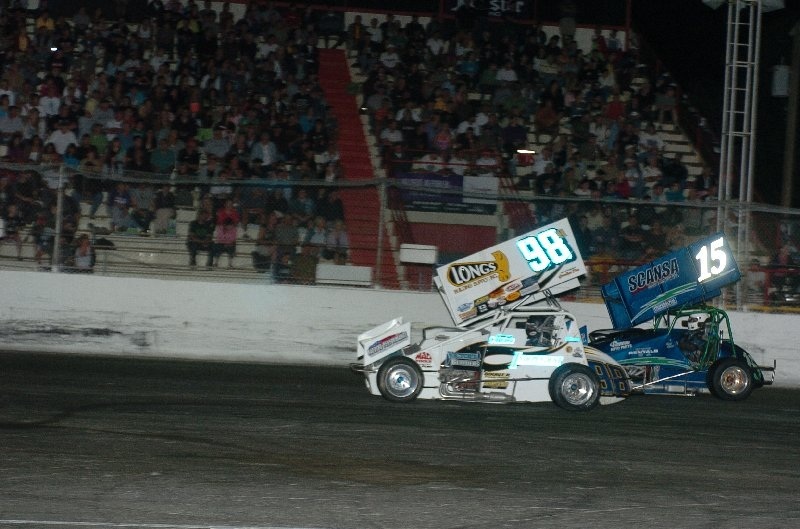 On the restart, Jeff Montgomery went inside both Darren Yates and Marty Venoit, as they left just enough room, and grabbed the lead and the win in the third Heat race for the Sprint Cars. 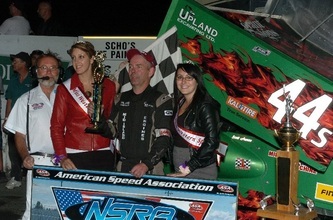 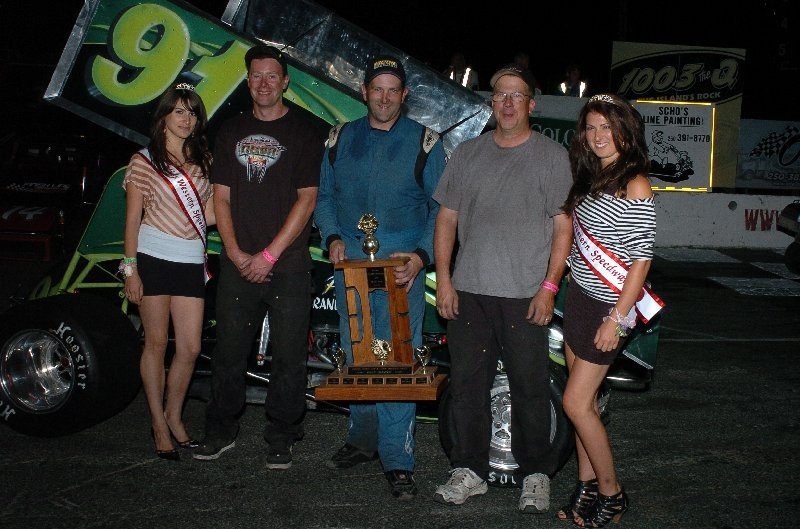 Between the Trophy Dashes and the Heat races Bill Birdsell, from the NSRA, presented Western Speedway's Darrell Midgley with the NSRA Promotor Of The Year Award for his efforts in the combined Sprint Car shows such as the Daffodil Cup events. 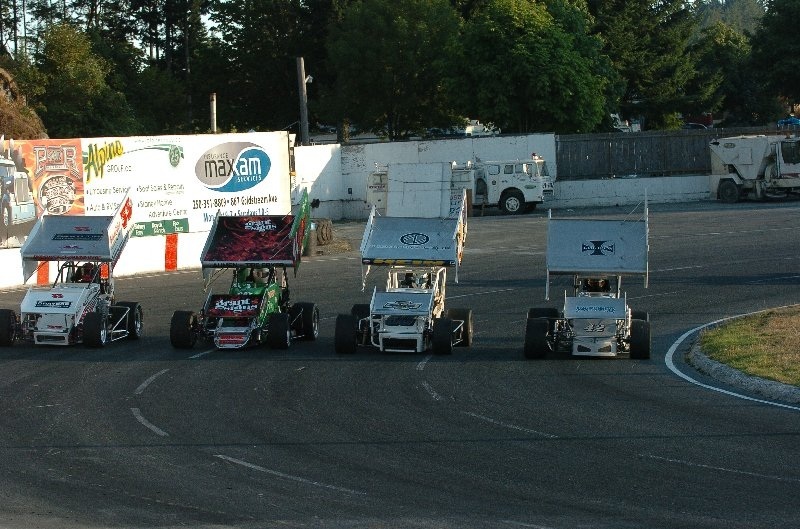 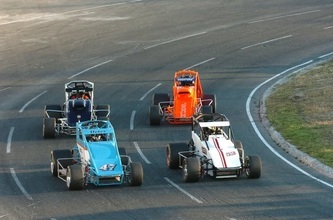 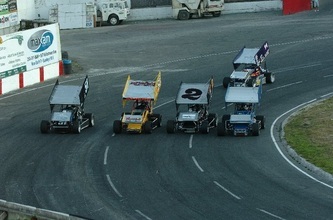 Nineteen wingless Sprint Cars lined up for the green flag led by Daryl Morneau and Mark Gall for thirty laps of racing for the WilRoc Lite Series. 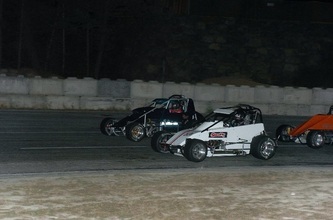 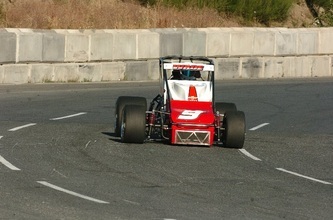 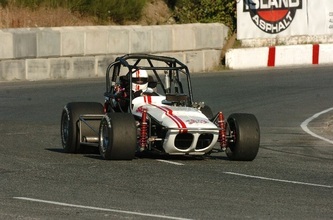 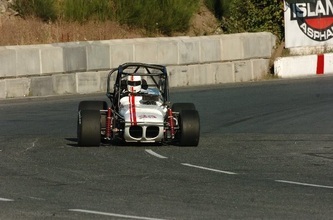 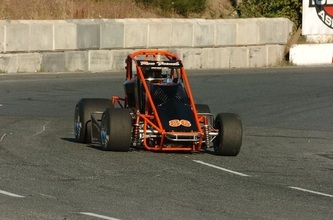 Morneau led for two laps and then was passed by Robbie Haslam and Wayde Heckford running first and second respectively. Stephen Dardengo got into the third position on lap six with Jesse Dardengo making a move into fourth one lap later. On lap thirteen, Chris Root spun around going into the tires on the backstretch bringing out the caution flag while Haslam had built a good lead while racing under the green. 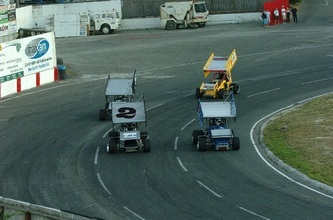 On the restart, Haslam got away clean while behind him Marc Parkinson was on a charge getting into the mix with Heckford and Dardengo. 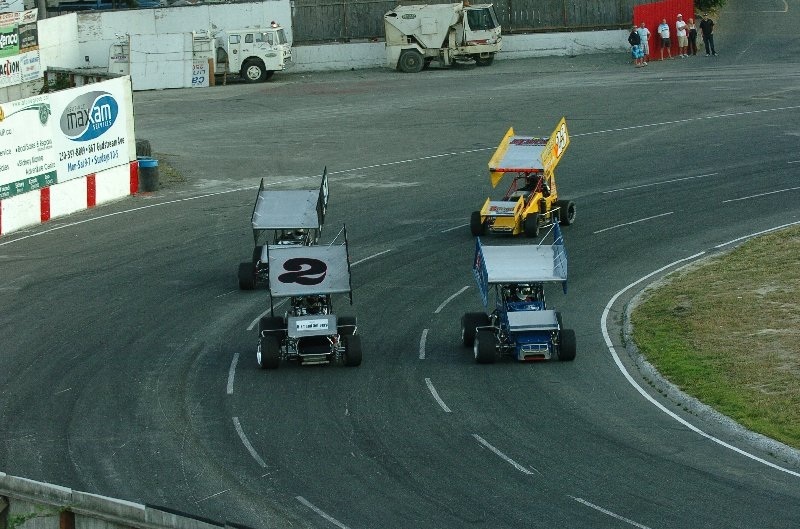 On lap seventeen, Parkinson took over running in second dropping Heckford back to third and Jessie Dardengo moving up to fourth. 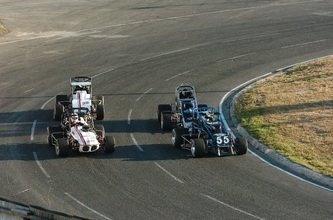 On lap twenty, Parkinson drove to the inside of Haslam and completed the pass to take over the lead. 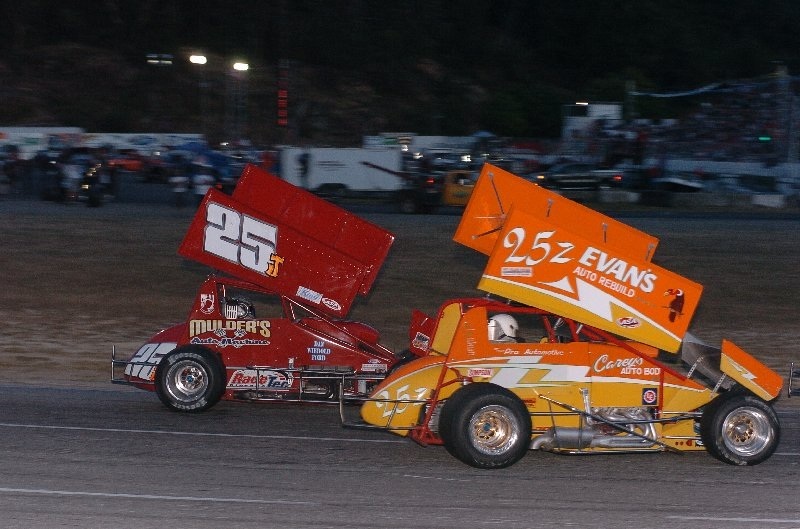 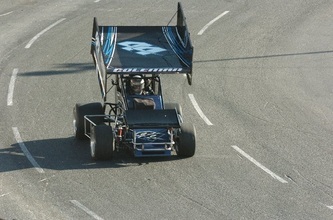 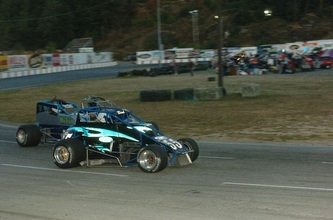 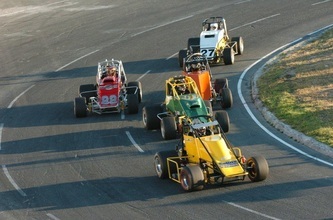 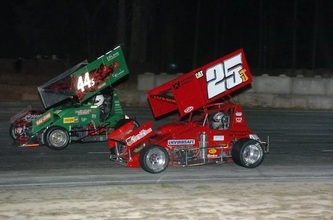 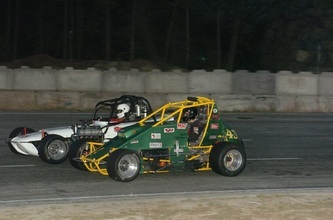 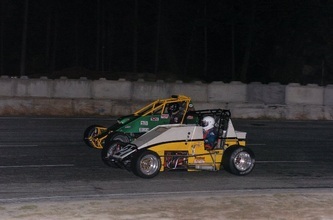 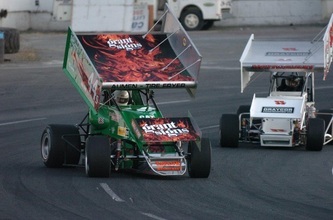 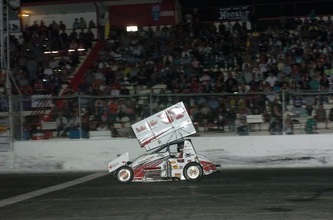 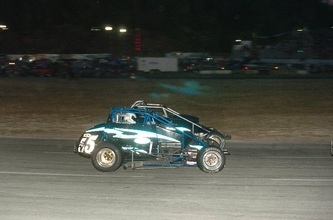 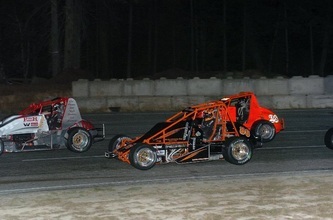 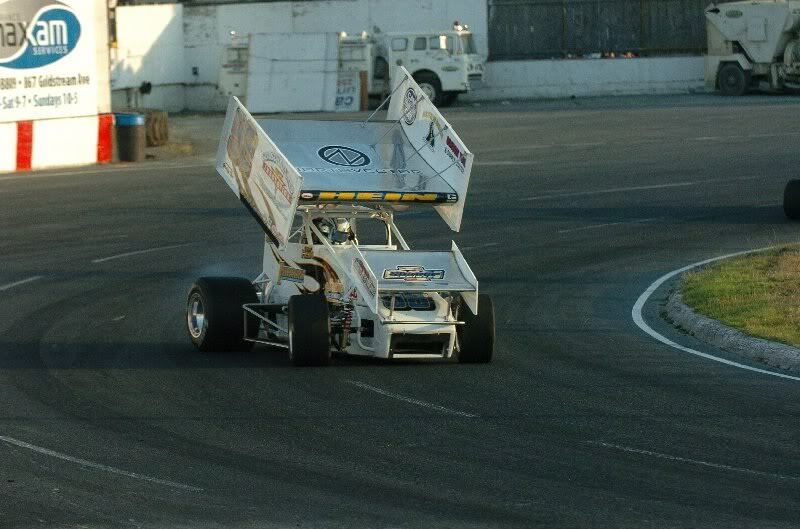 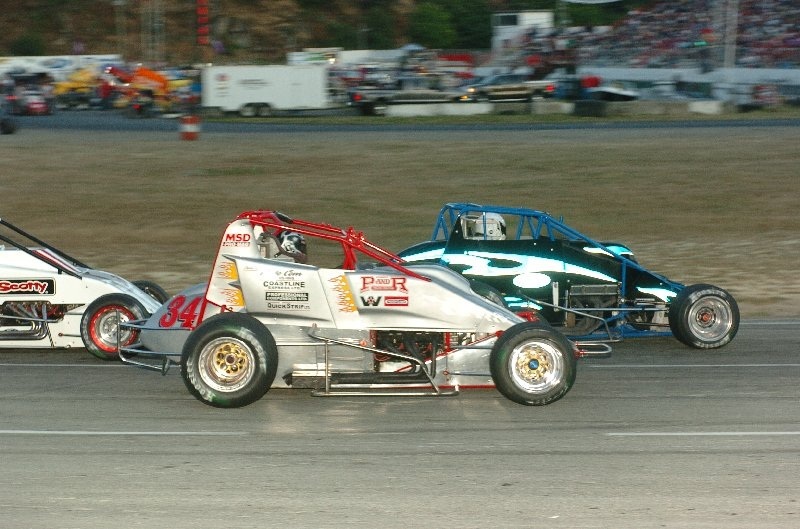 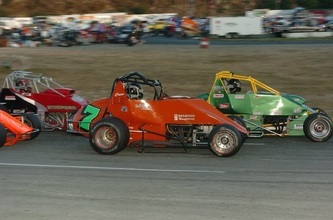 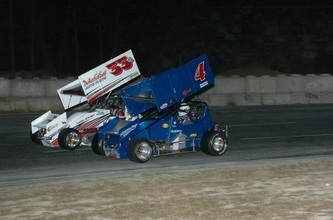 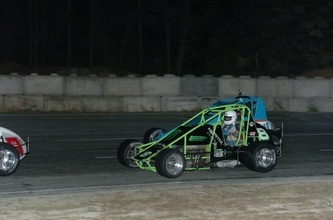 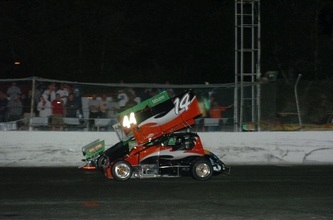 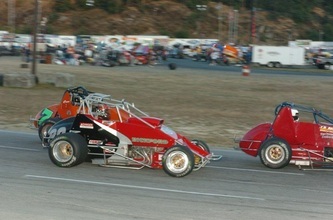 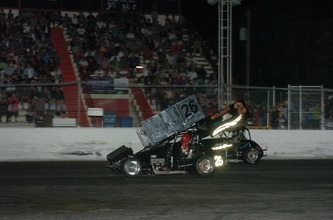 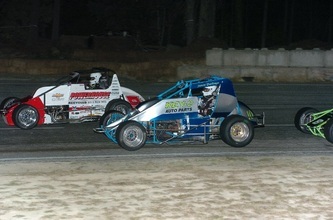 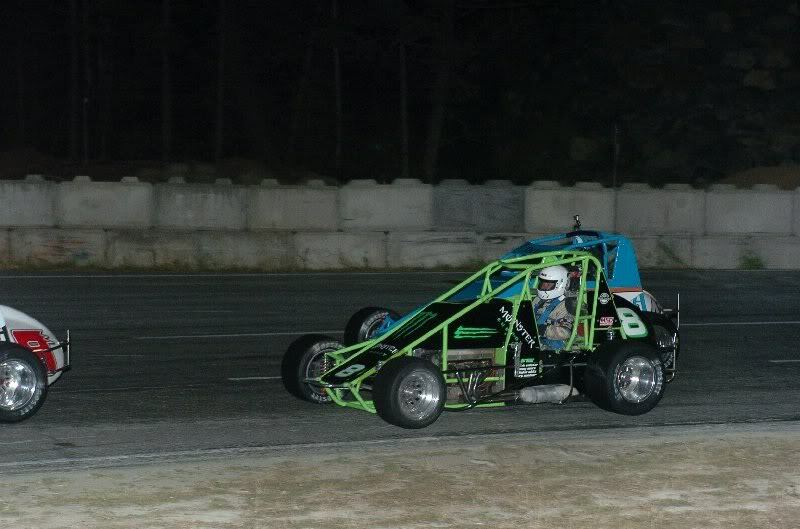 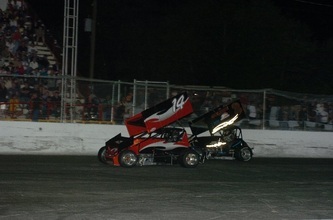 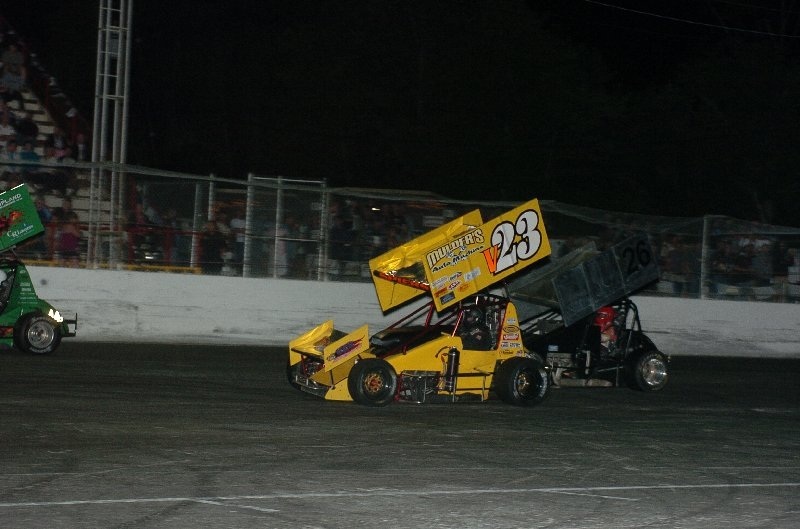 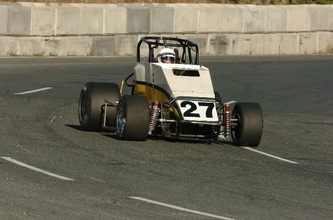 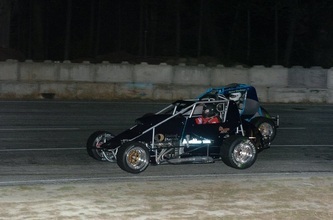 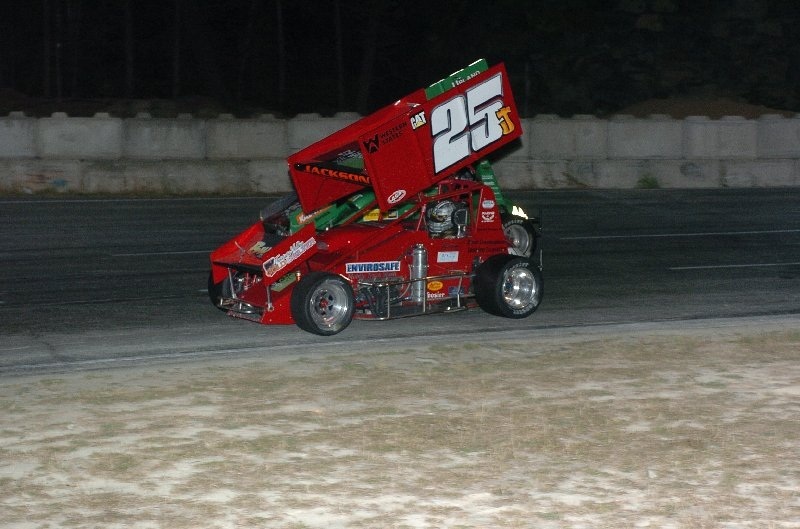 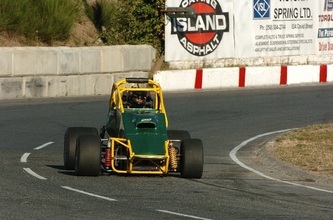 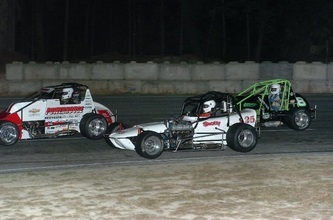 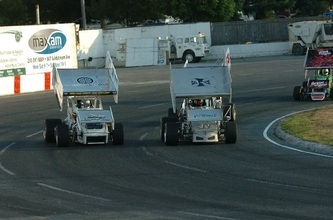 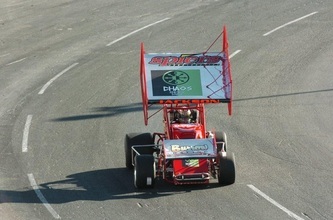 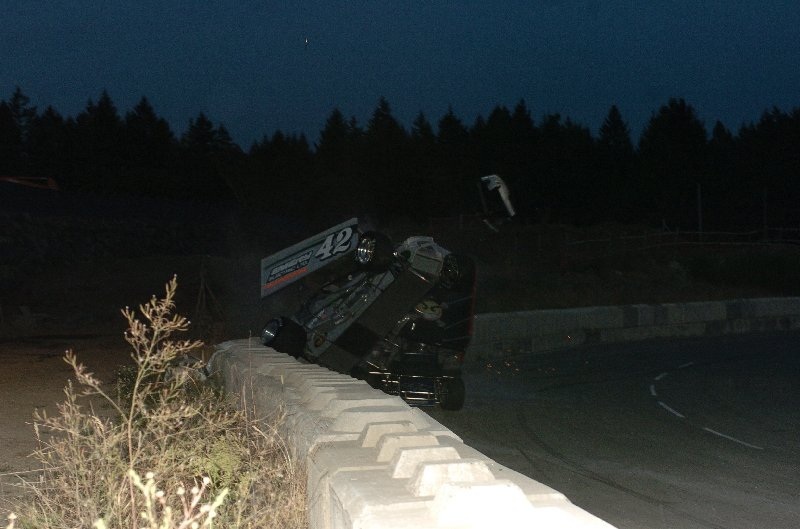 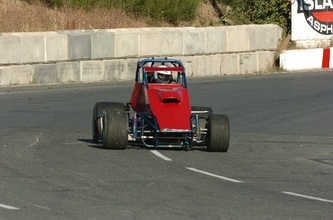 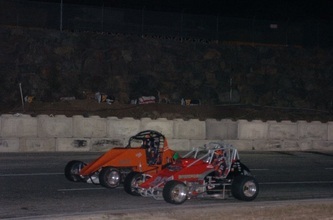 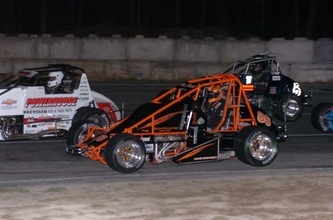 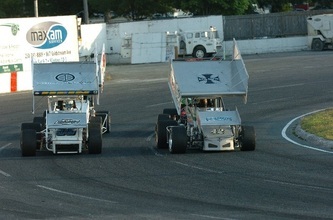 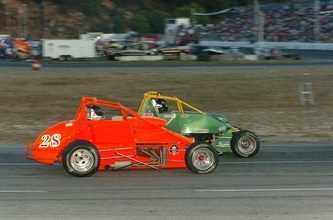 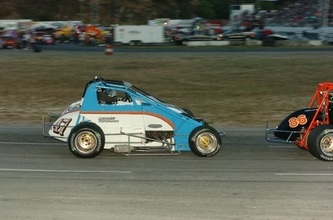 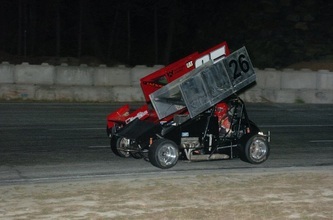 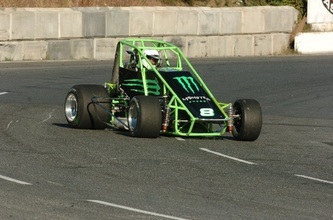 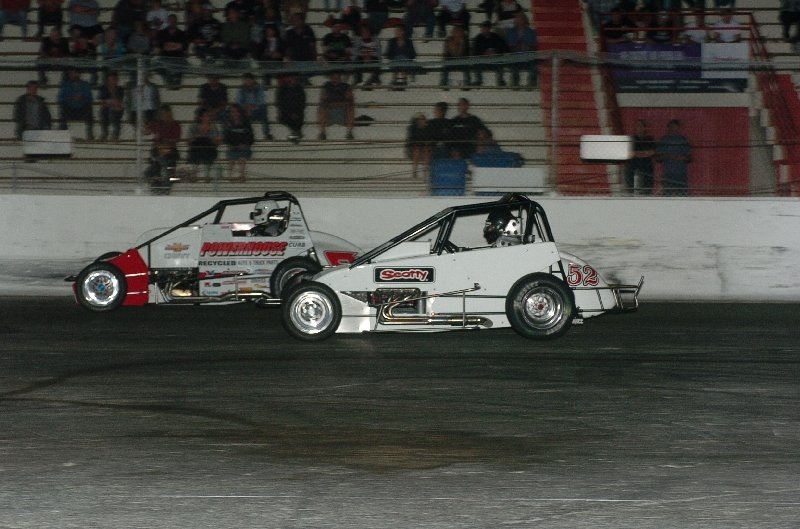 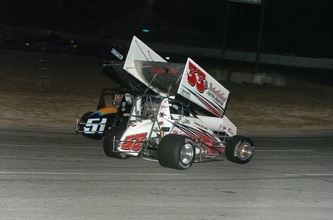 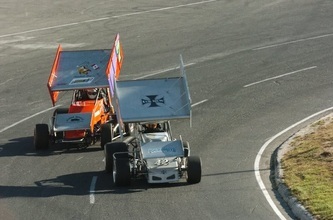 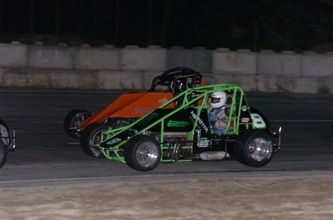 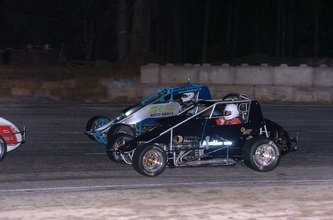 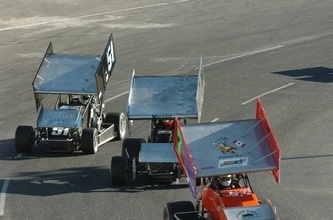 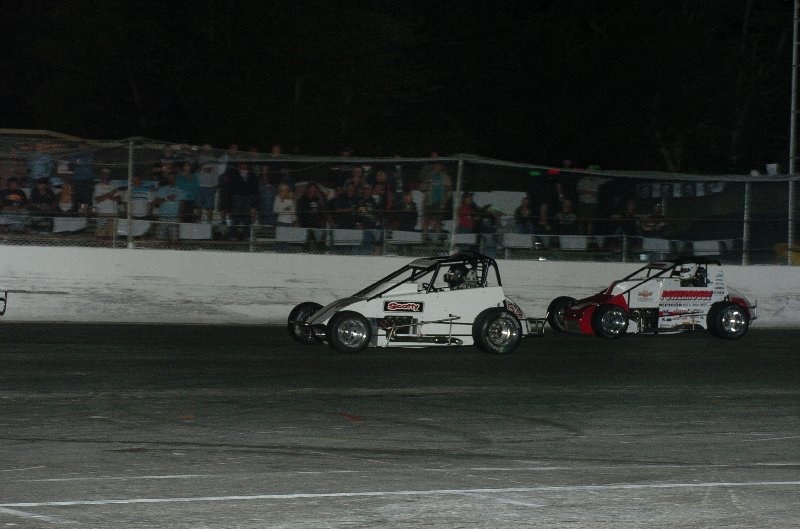 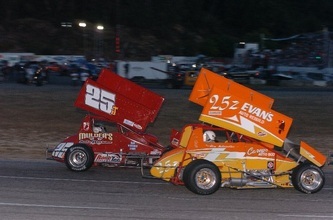 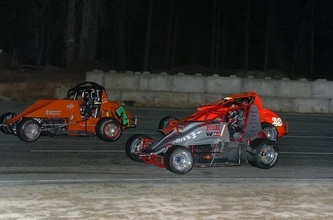 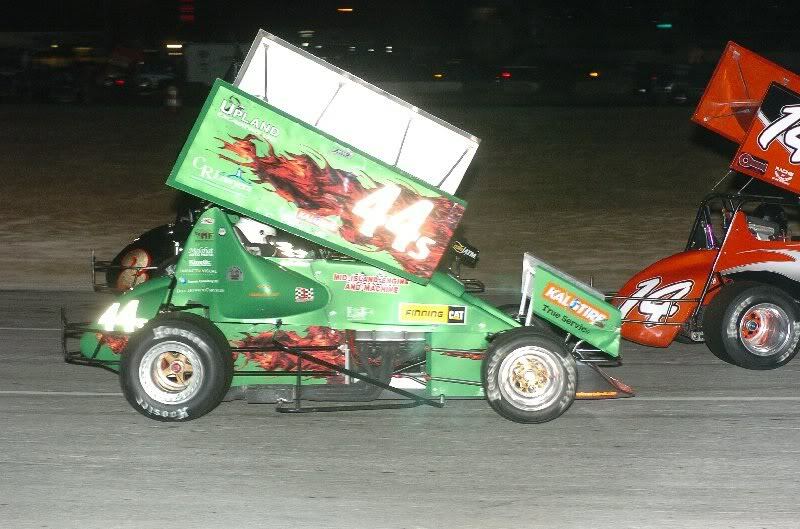 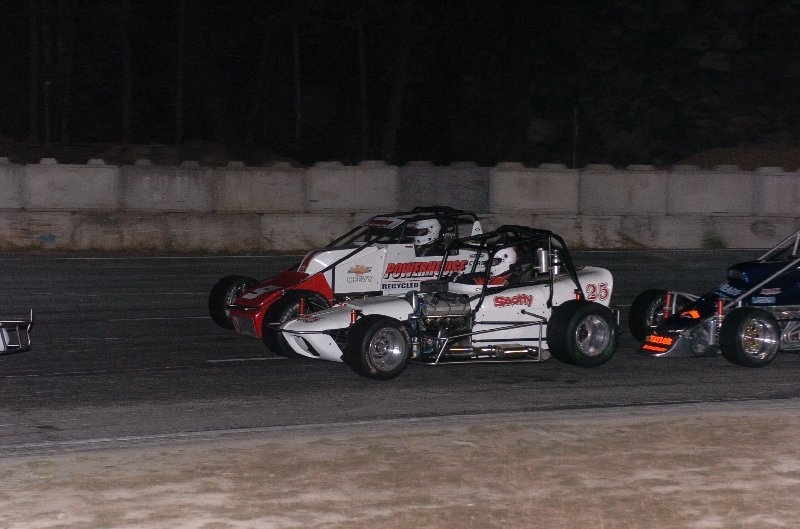 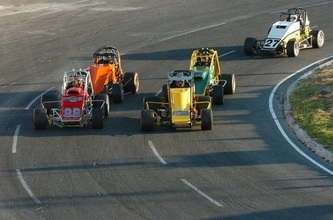 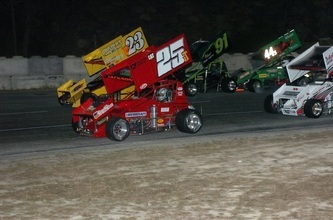 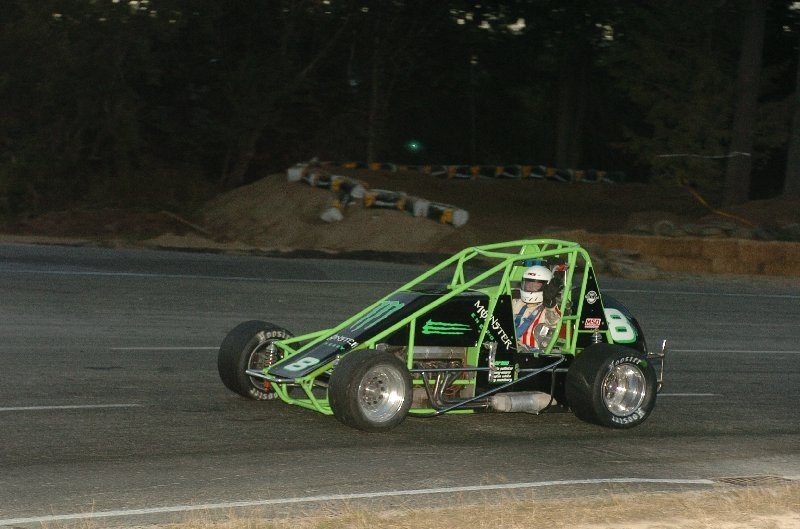 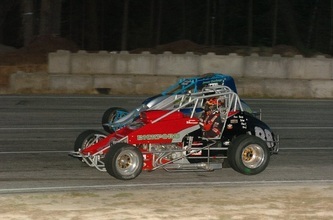 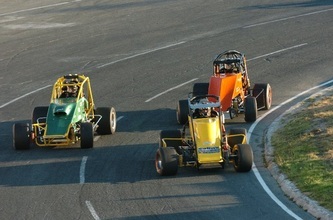 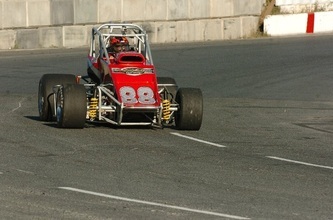 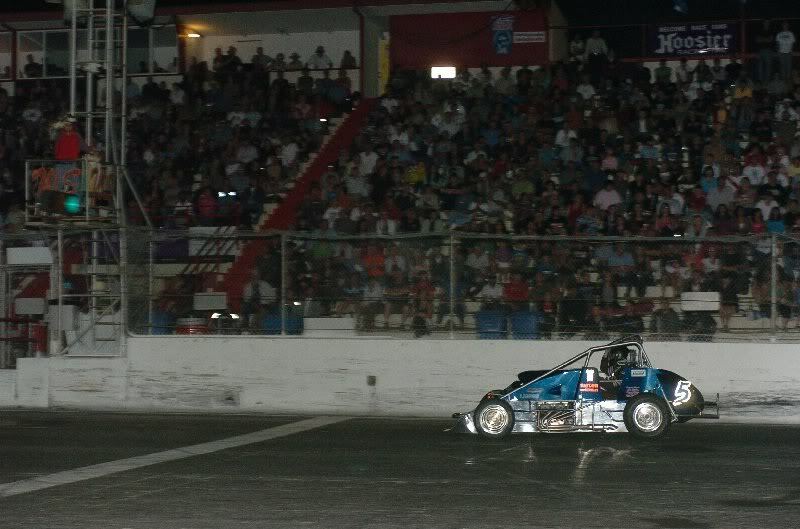 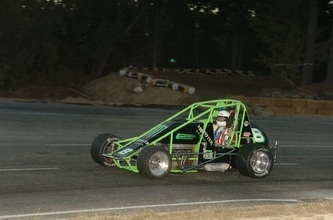 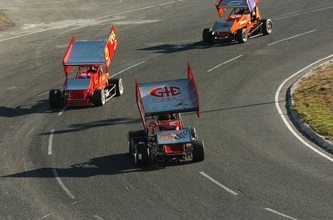 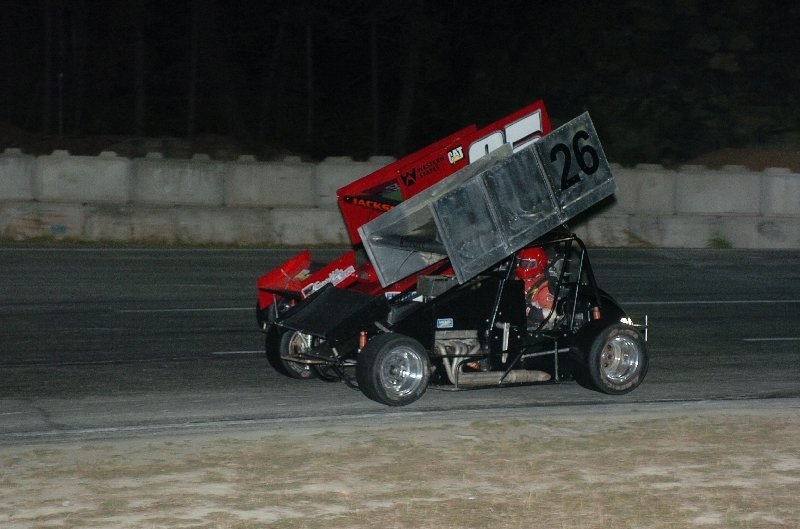 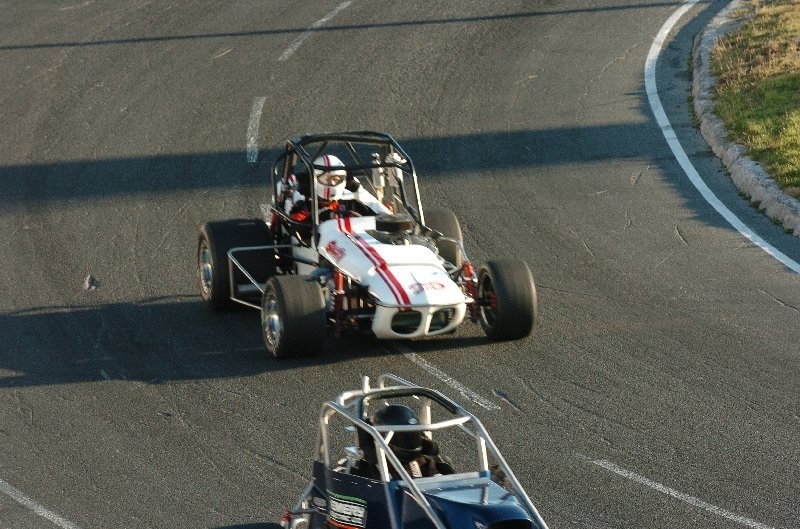 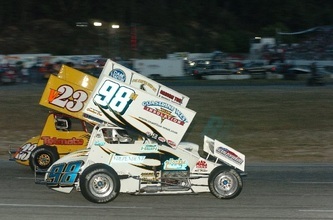 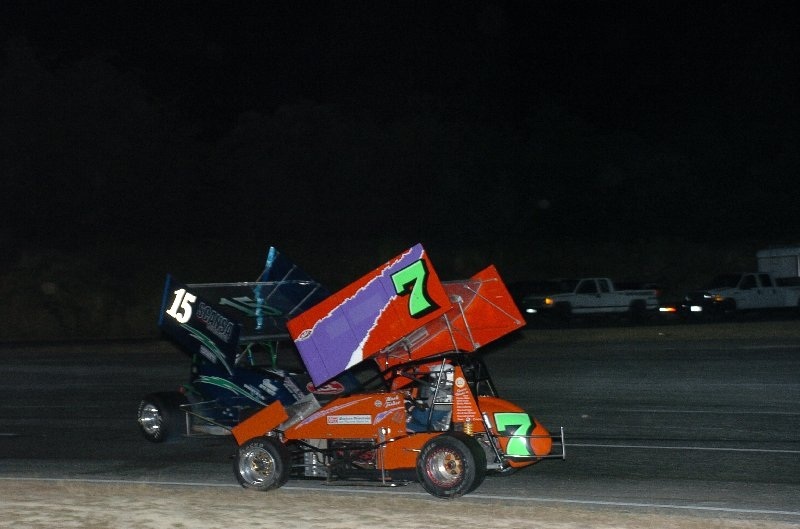 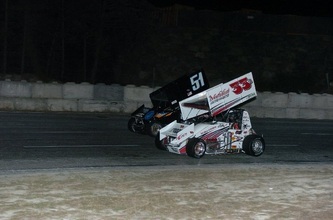 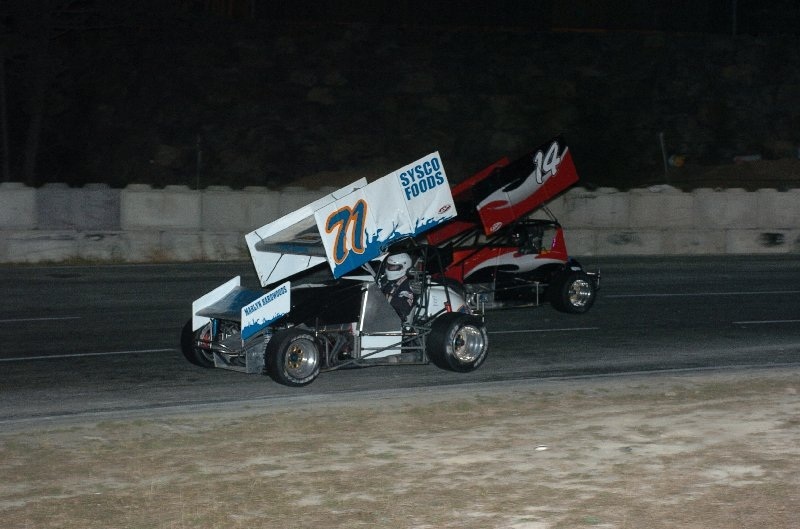 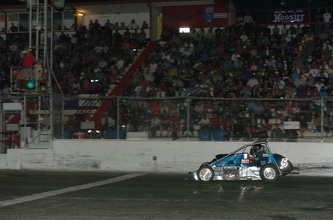 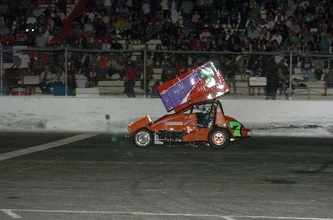 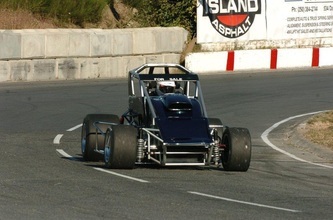 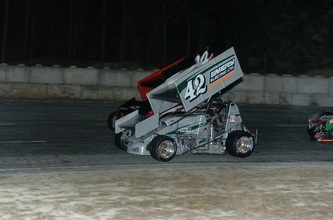 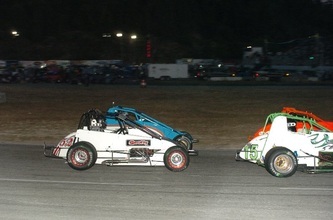 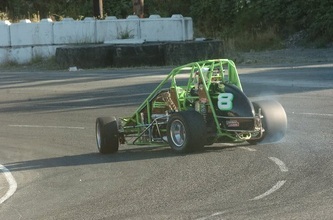 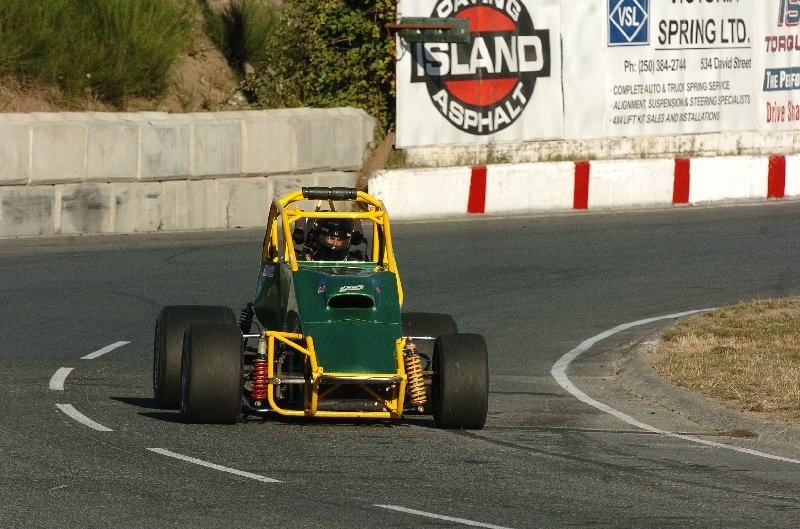 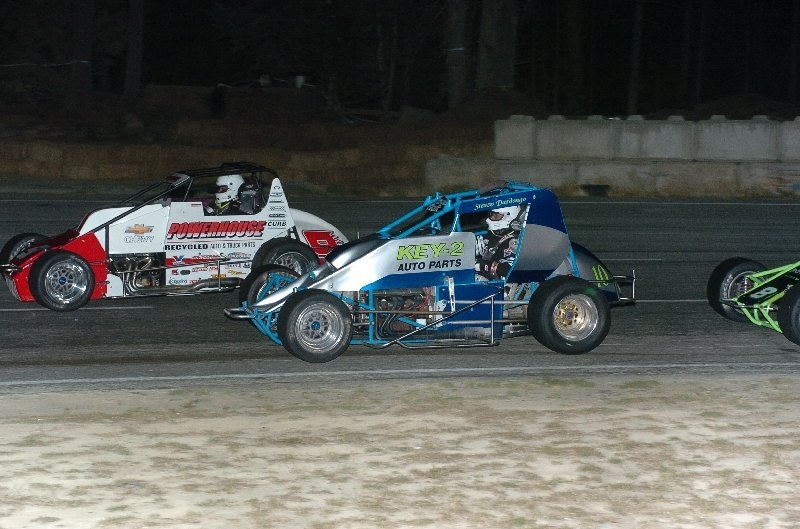 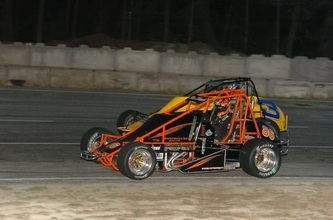 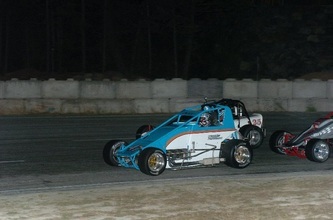 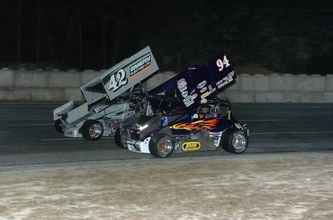 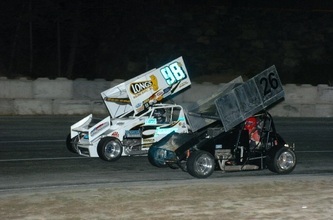 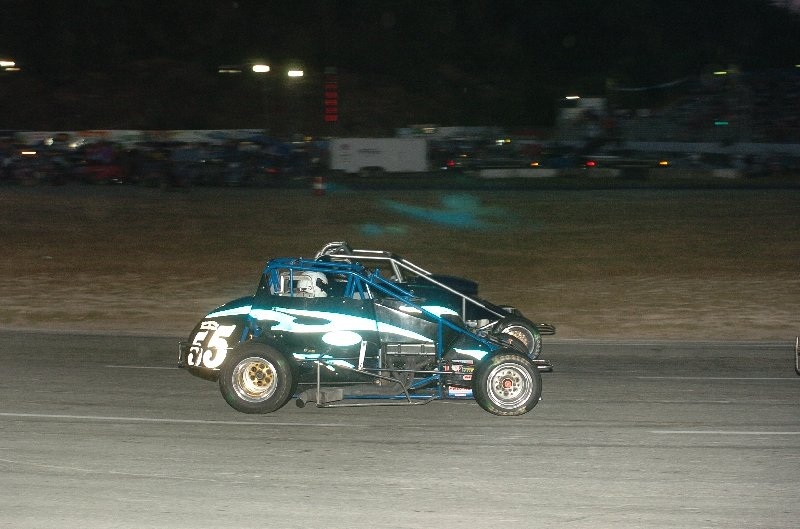 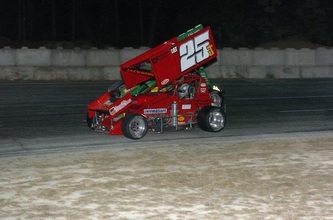 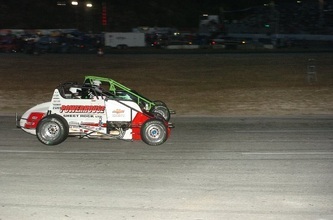 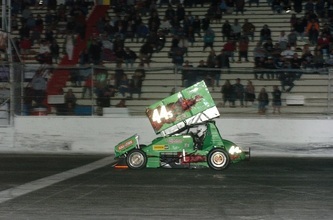 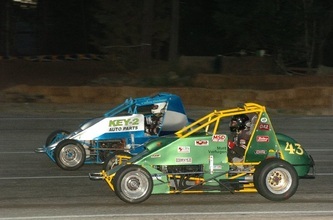 On lap twenty-two, the yellow came out again as Jeff Bird spun out in turn three. 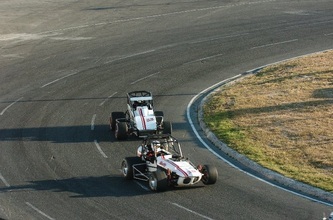 On the restart, Parkinson again got the lead with Haslam on his tail and Heckford still running in third. 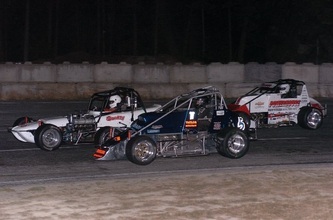 Parkinson went on to the chequered flag followed by Haslam, Heckford, Jesse Dardengo, and Stephen Dardengo rounding out the top five positions. 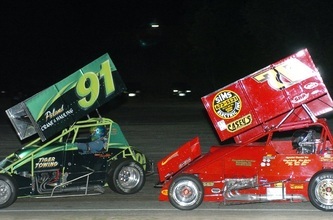 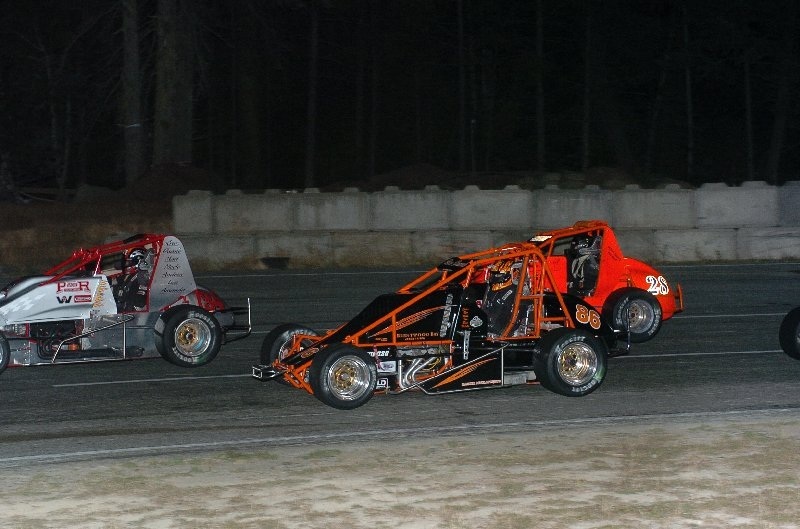 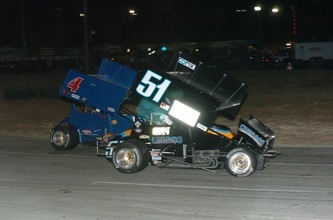 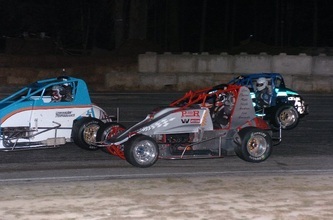 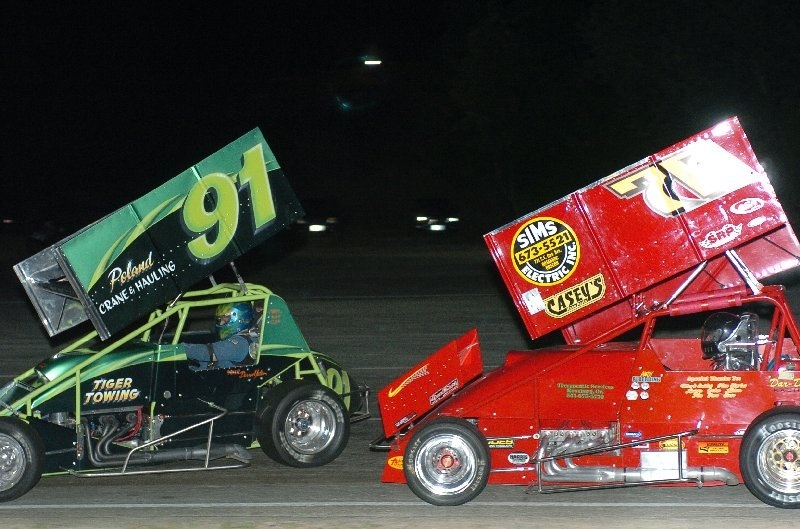 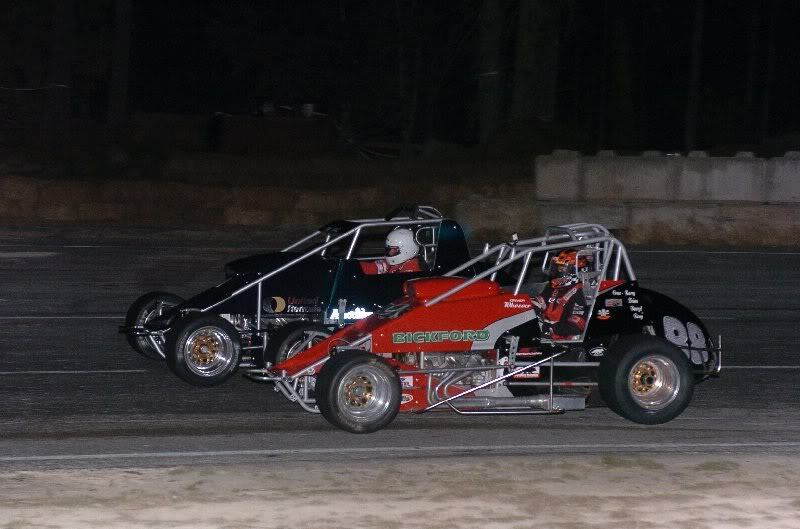 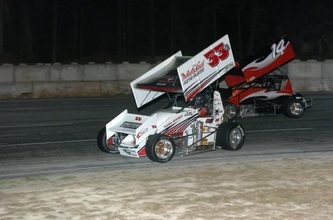 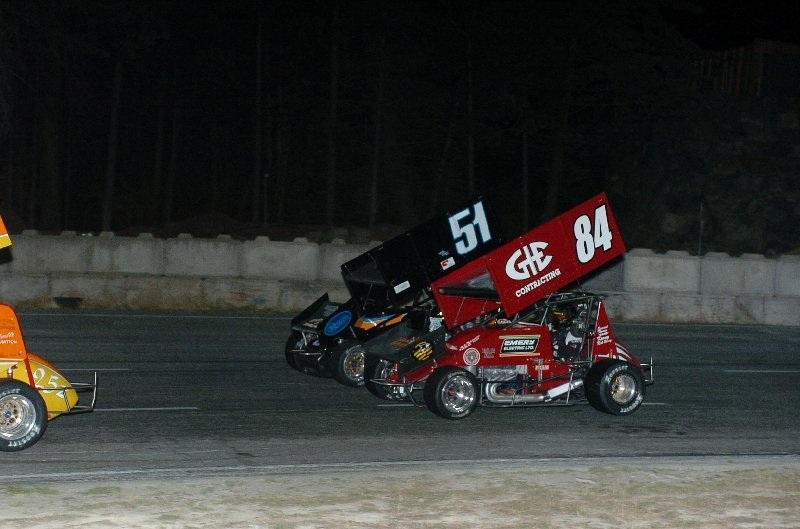 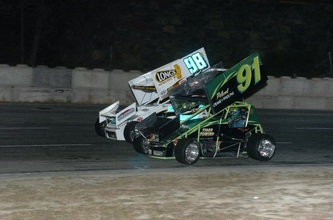 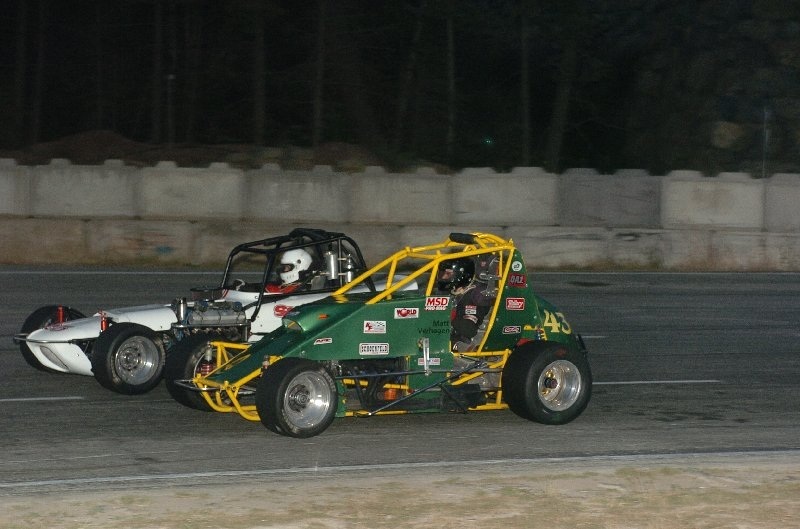 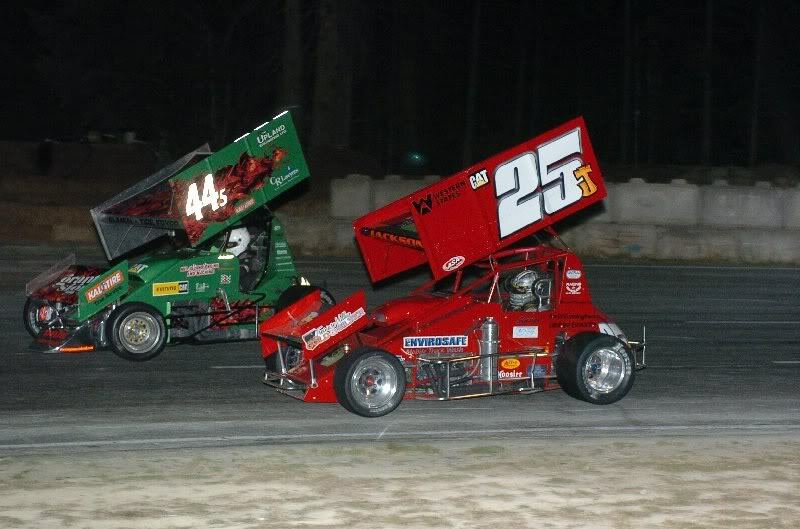 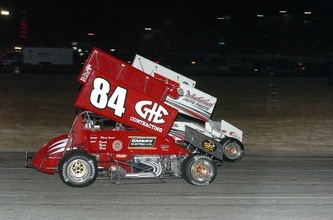 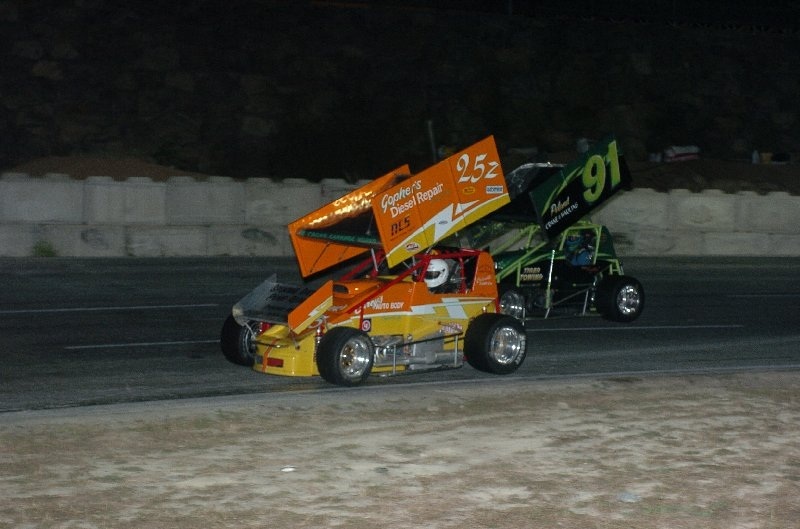 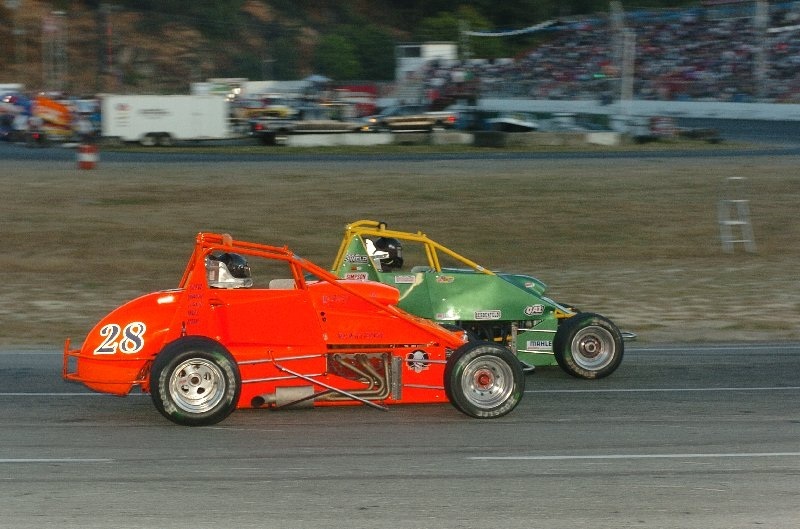 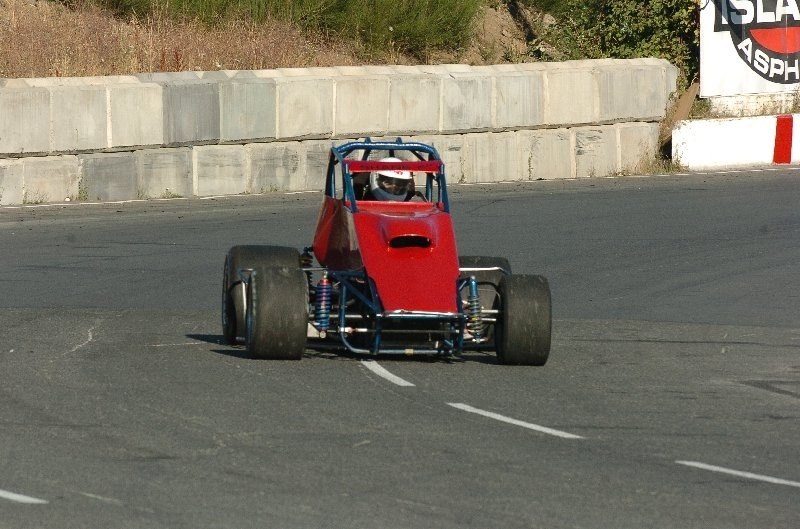 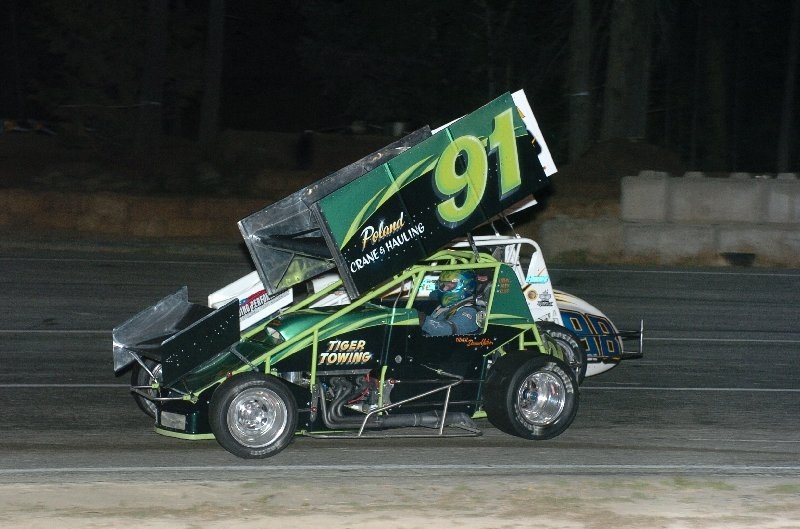 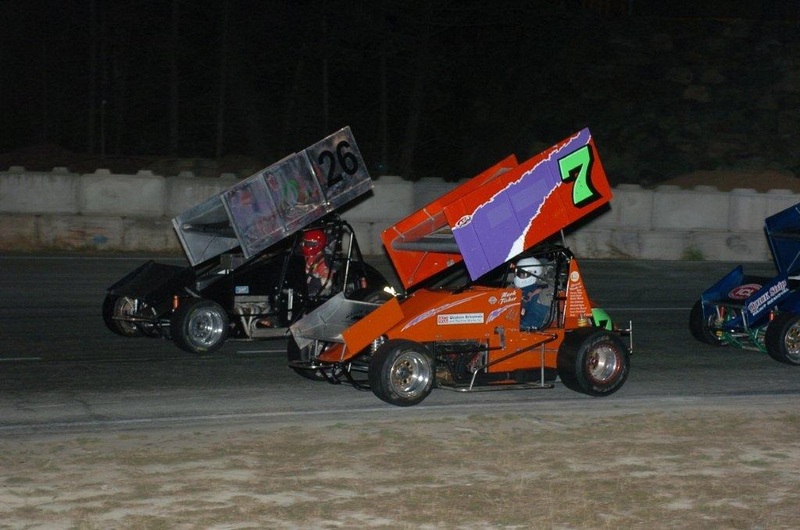 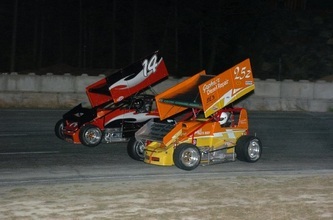 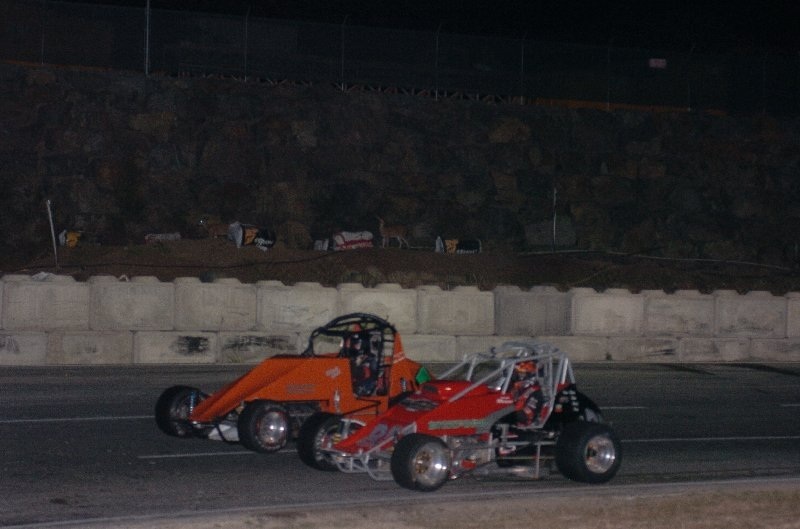 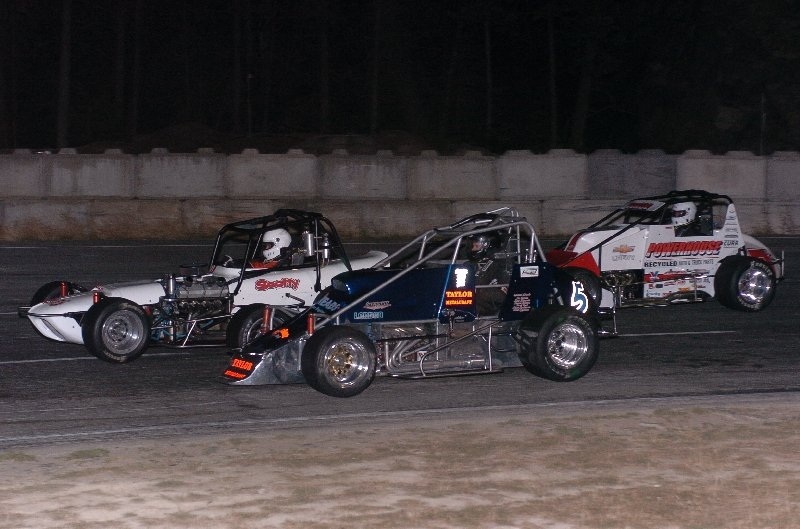 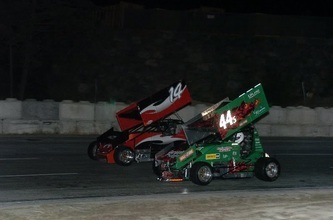 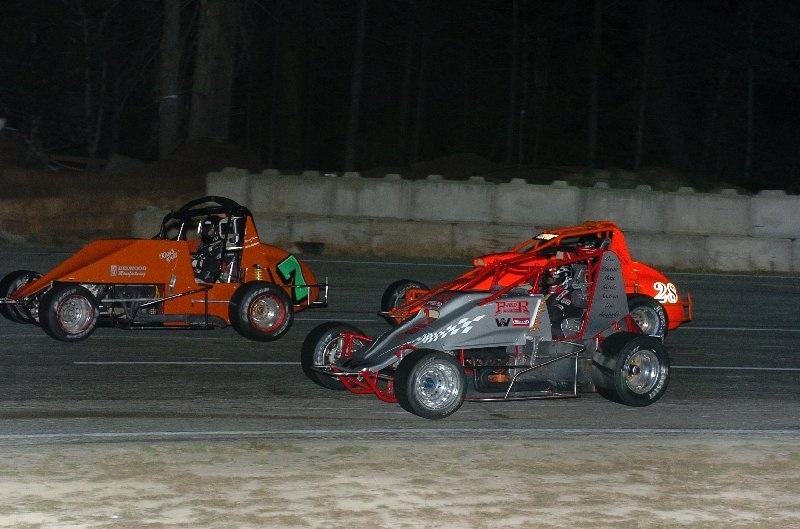 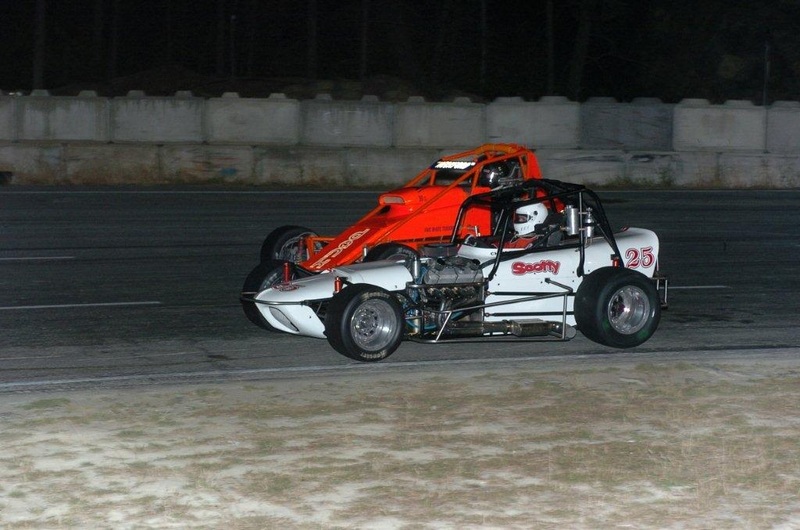 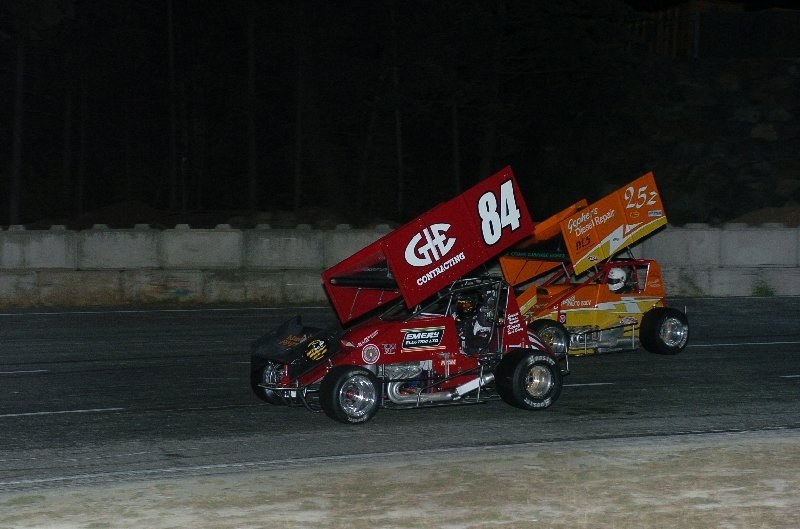 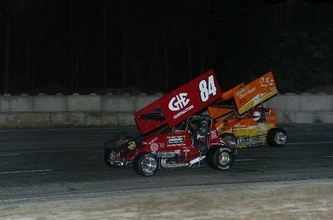 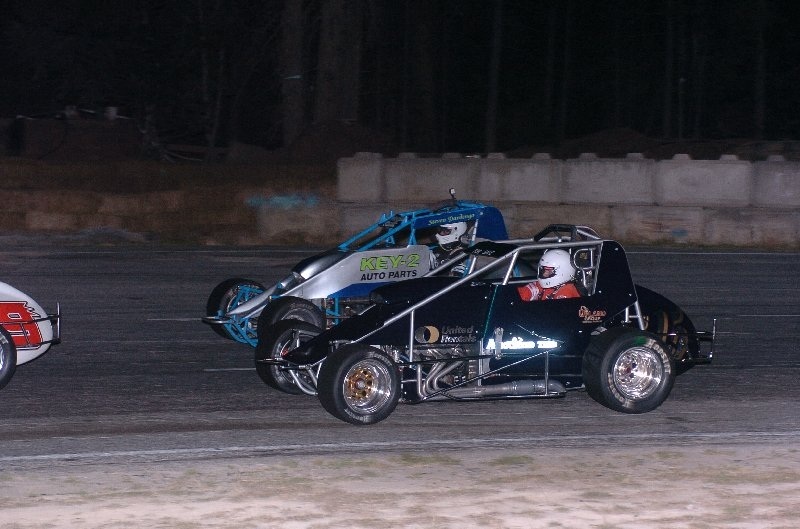 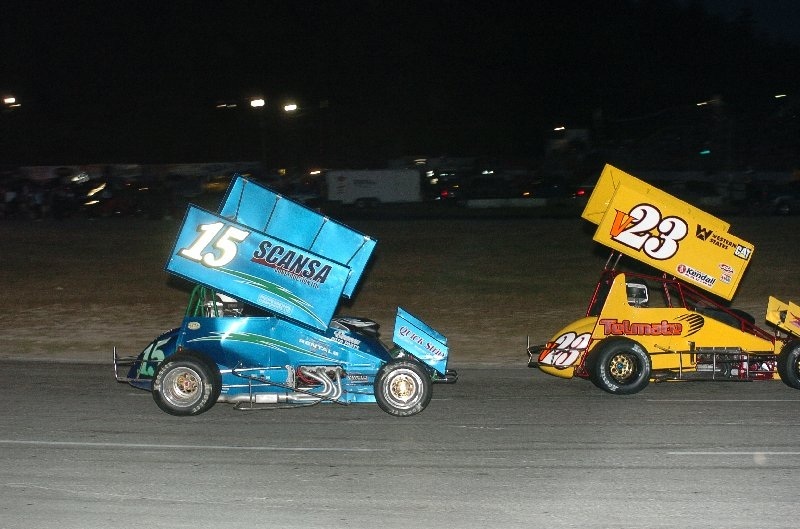 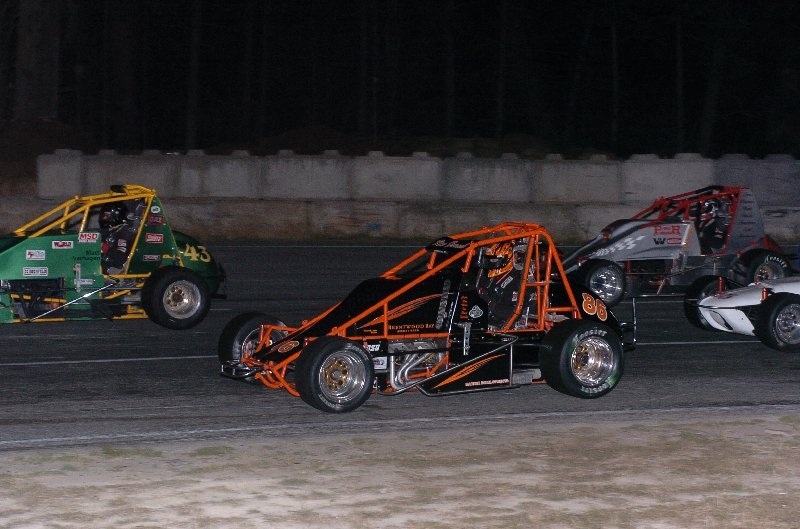 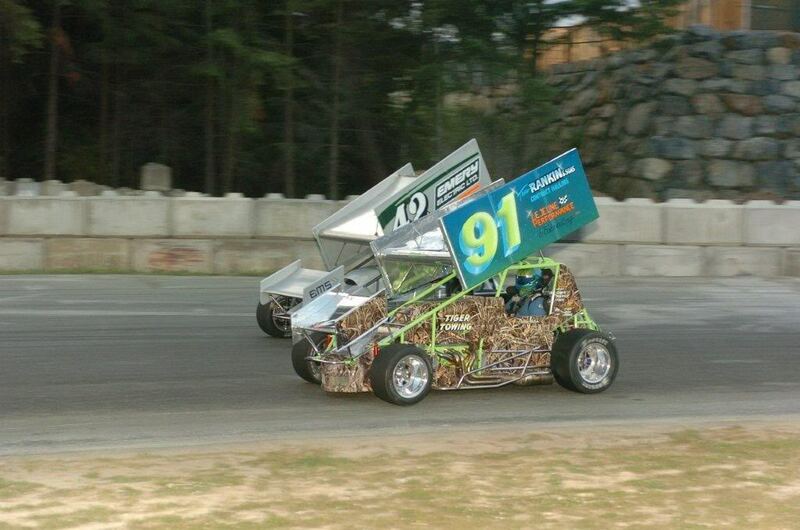 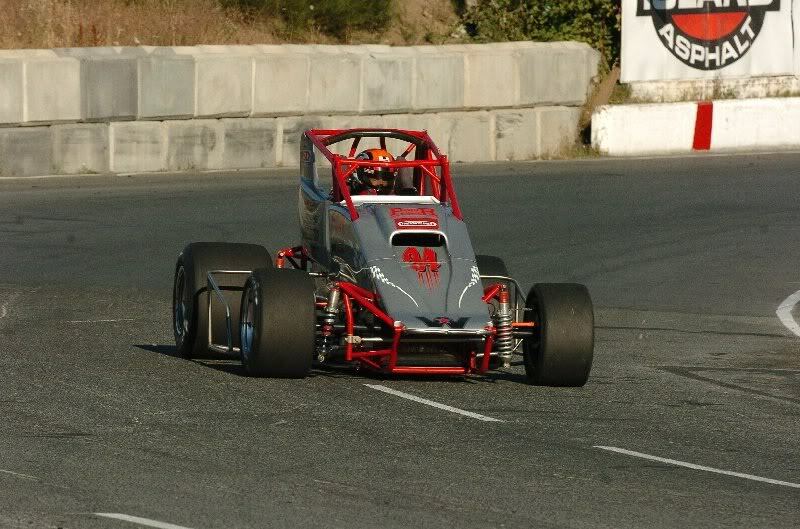 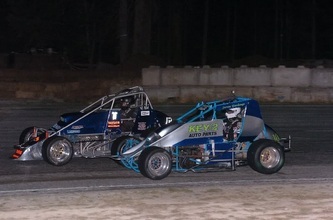 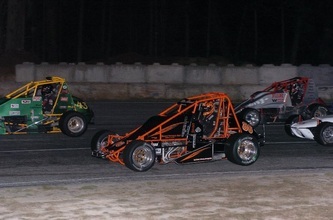 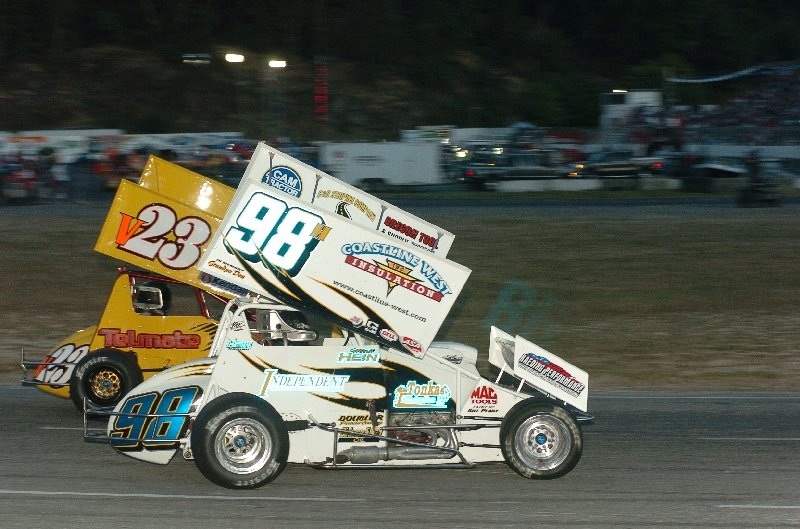 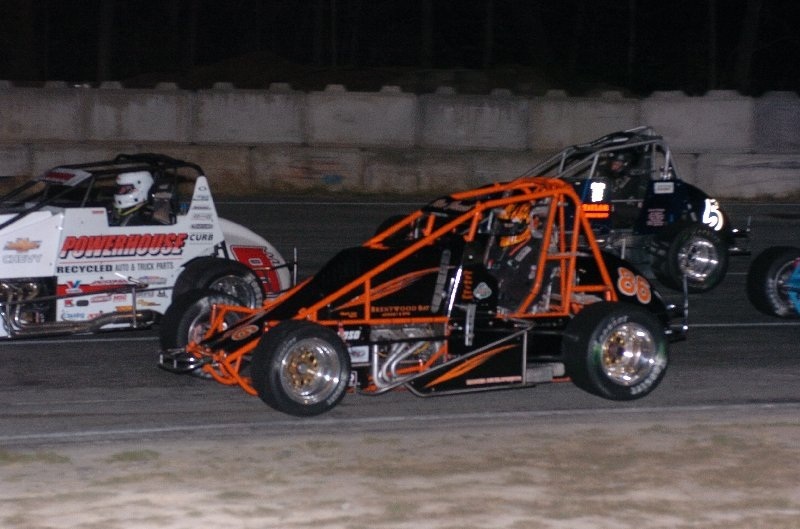 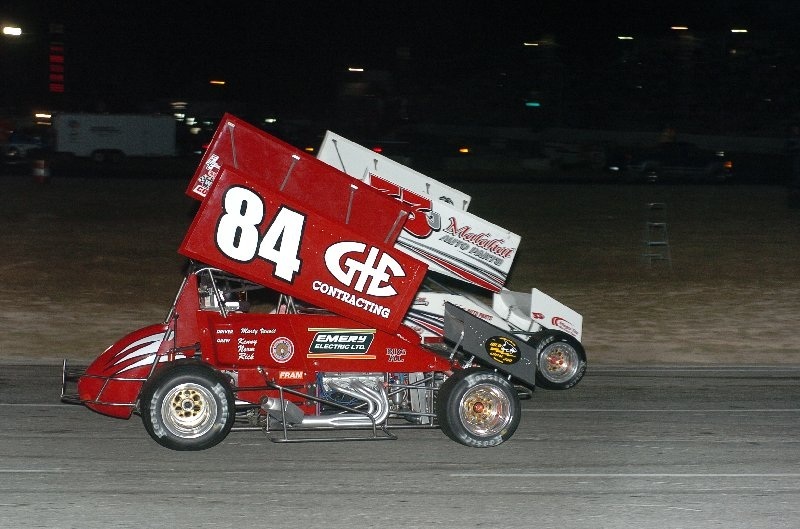 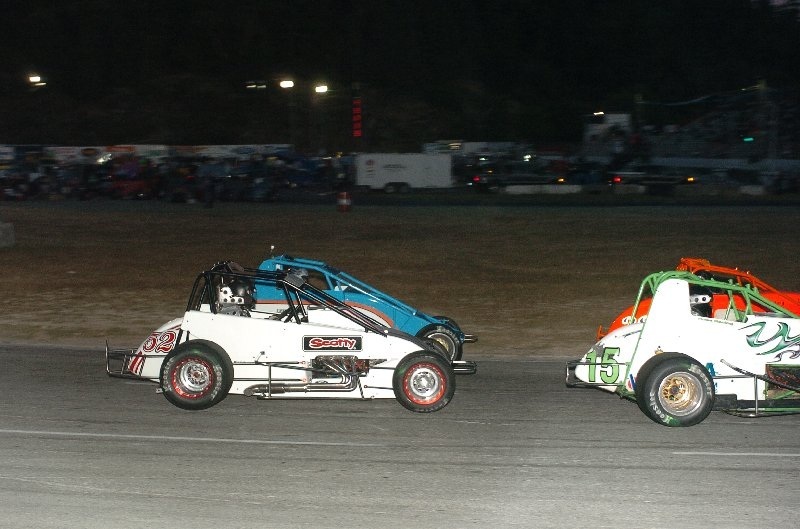 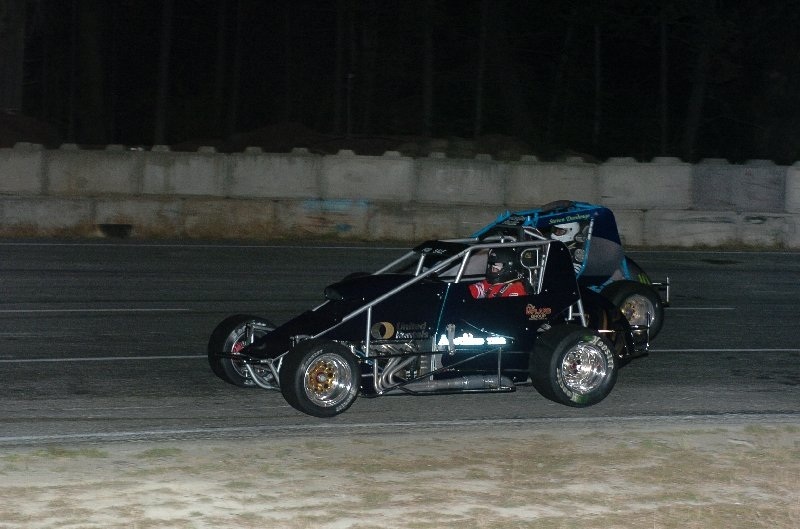 Chris Schmelzle and Greg Middendorf shared the front row for the start of fifty laps of racing in the NSRA, WilRoc Sprint Car, quest for the prestigious and storied Daffodil Cup. Schmelzle got the lead off the green flag and led for the first two laps until he was passed by Matt Mansell on lap three. 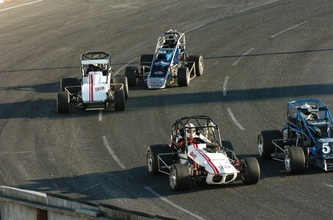 Andy Alberding quickly moved up to run second on lap five dropping Schmelzle back to third. 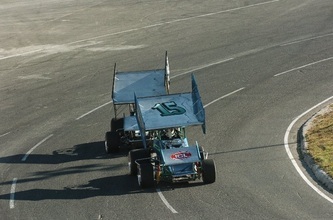 On lap eight, Jeff "The Hurricane" Montgomery made the charge from his ninth starting position to run in third followed by Matt Hein one lap later. 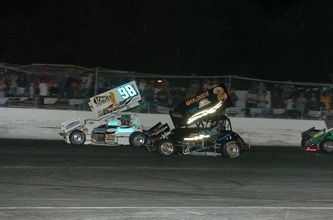 On lap ten the yellow came out as Middendorf spun in front of Sierra Jackson and Darren Yates as they were charging forward and lucky they were able to avoid a collision. 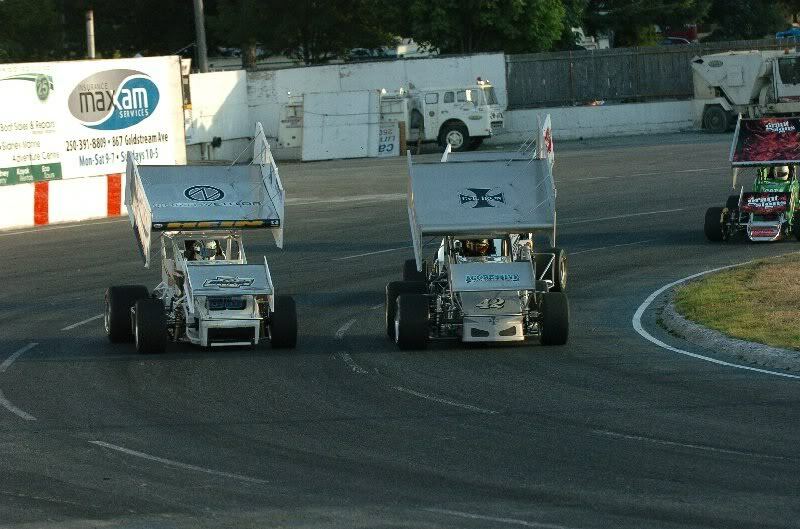 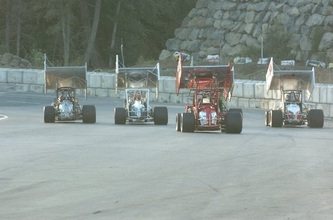 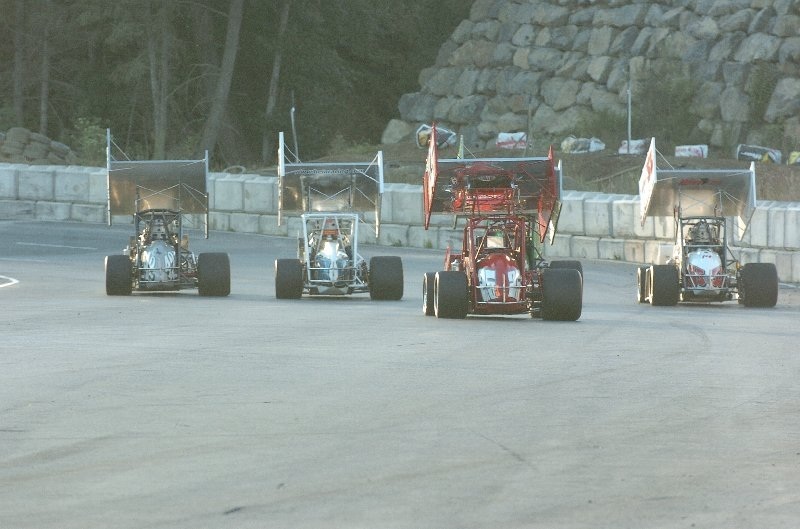 On the double file restart, Mansell had Alberding on his outside with Montgomery and Hein in row two, as they came back around for the green flag. Mansell got the early jump but Montgomery got a run dove to the inside and blew by Mansell and grabbed the lead after just one lap. 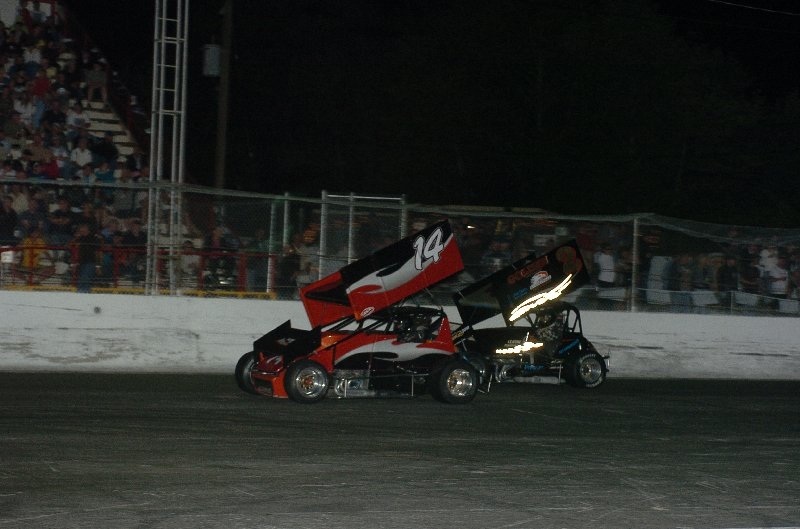 Back in the field, Jackson and Scott Aumen were racing side by side for several laps with Aumen finally getting clear to run fifth on lap eleven. 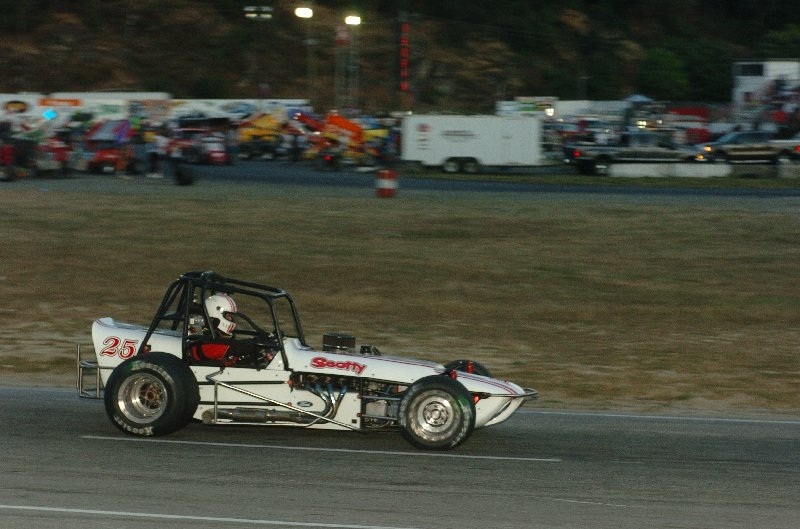 Over the next several laps, Montgomery put on a driving clinic not seen at Western Speedway in some time as he threaded his way through lapped traffic picking off cars on the outside and then inside as he literally drove away from the pack. 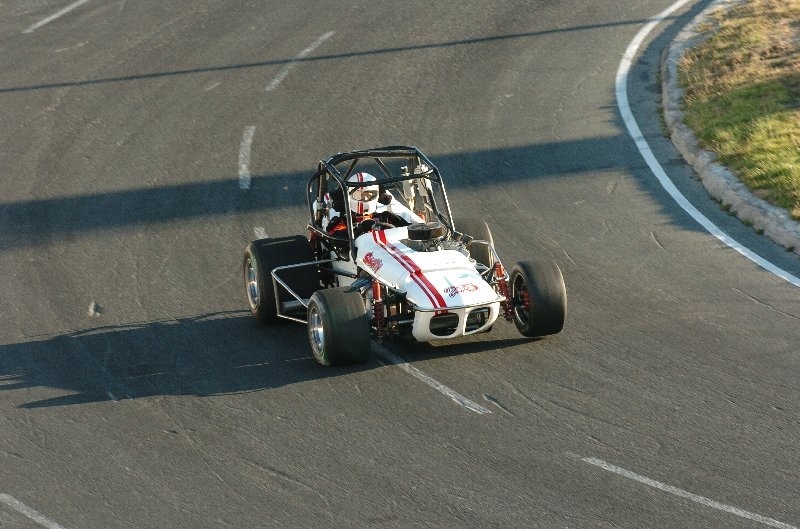 On lap thirty-five Alberding got by Mansell for second as Hein and Aumen also got by as Mansell dropped off the pace somewhat. 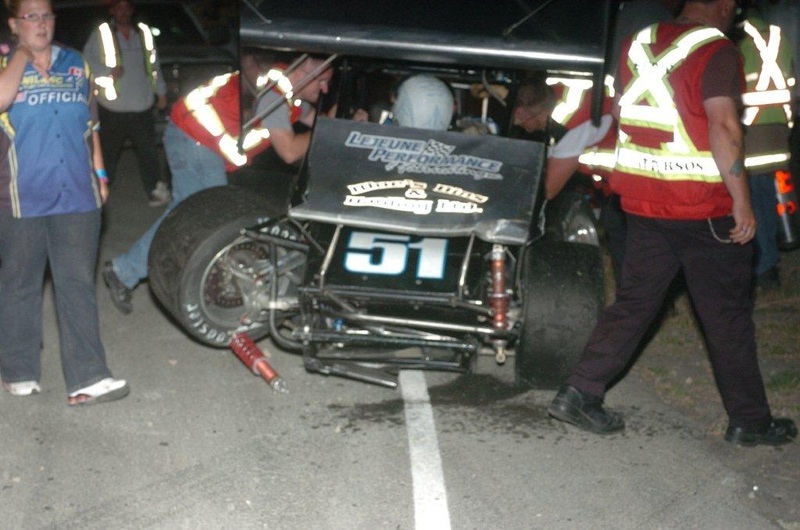 On lap forty-seven, the yellow came out as Schmelzle slammed into the frontstretch wall. 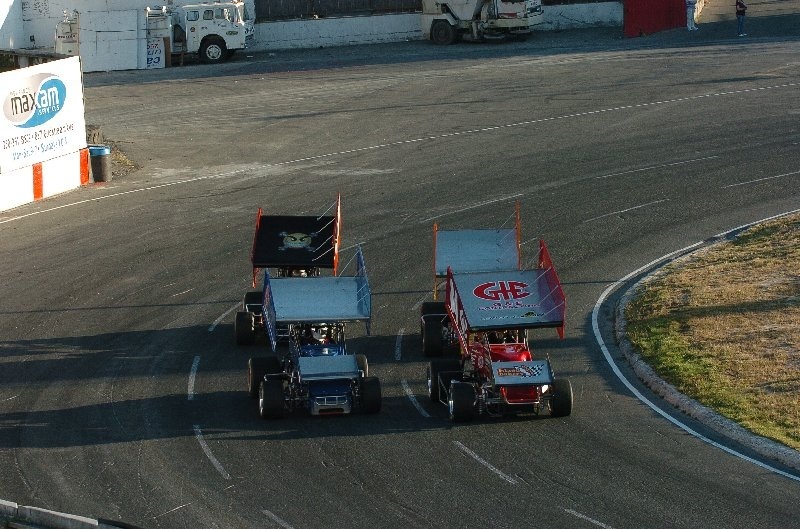 On the single file restart, Montgomery took off and never looked back as he went on to the chequered flag followed by Alberding, Hein, Aumen, and Mansell who did hold on to run in the top five. 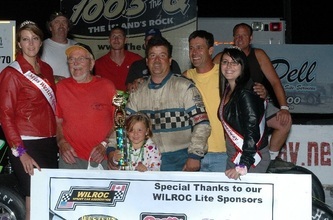 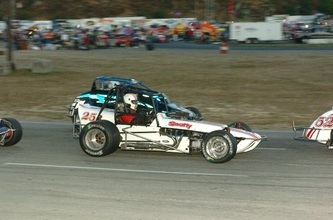 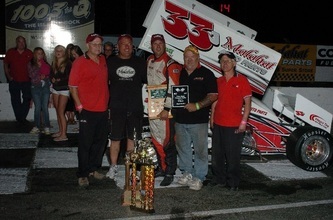 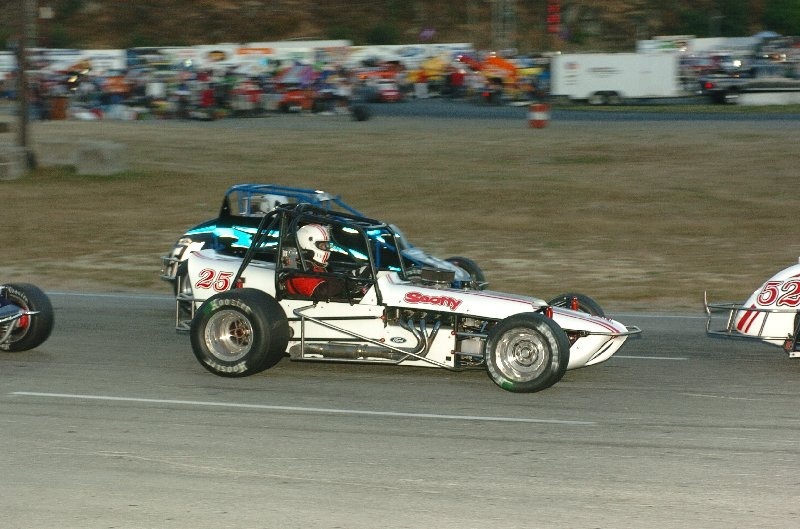 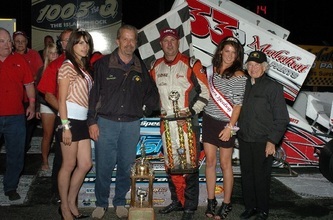 Montgomery won the Feature event along with the Denny Rand Memorial plaque in a dominate display of driving in this race. 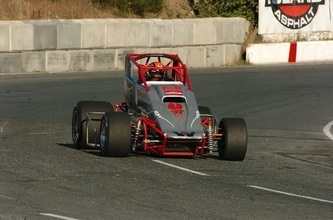 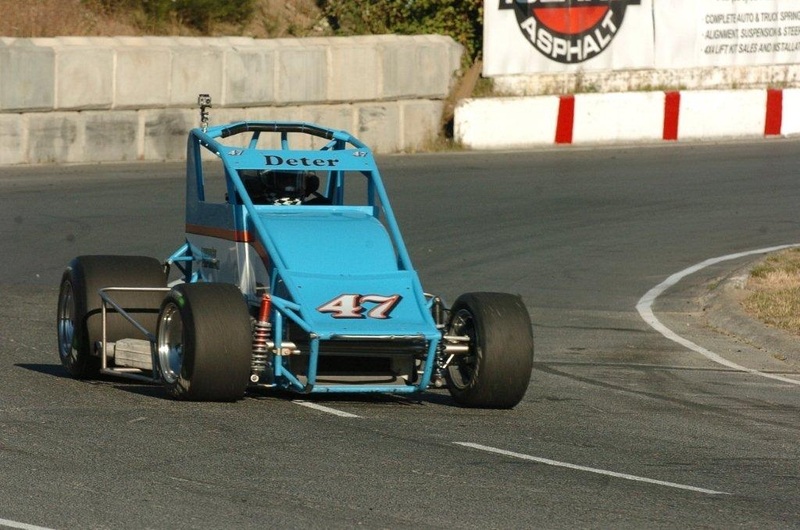 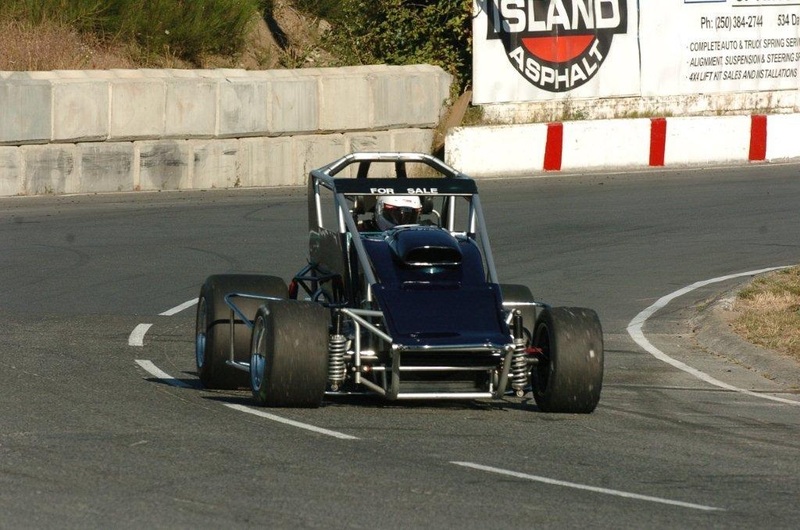 After calculating the points over the two day event, Scott Aumen walked away with his fourth Daffodil Cup victory by a two point margin over The Hurricane. The top five drivers for the two days are: 1/ # 44 Scott Aumen - 369, 2/ # 33 Jeff Montgomery - 367, 3/ # 76 Andy Alberding - 349, 4/ # 25J Sierra Jackson - 328, and 5/ # 98H Matt Hein - 326 points. 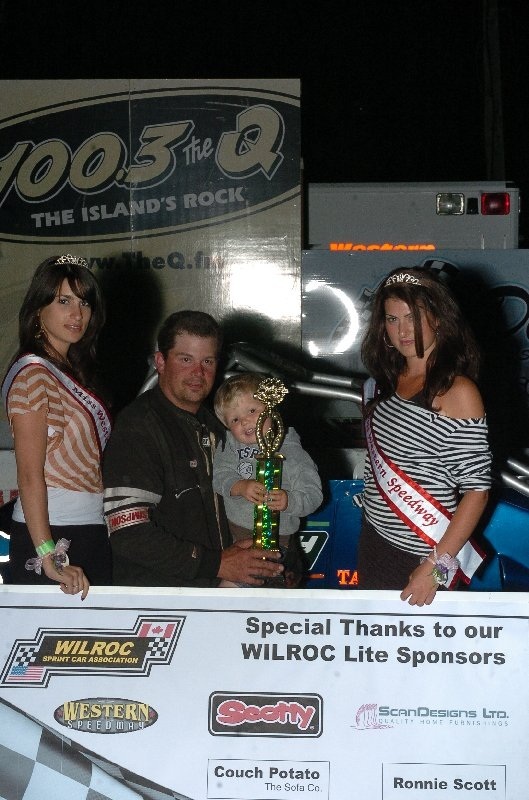 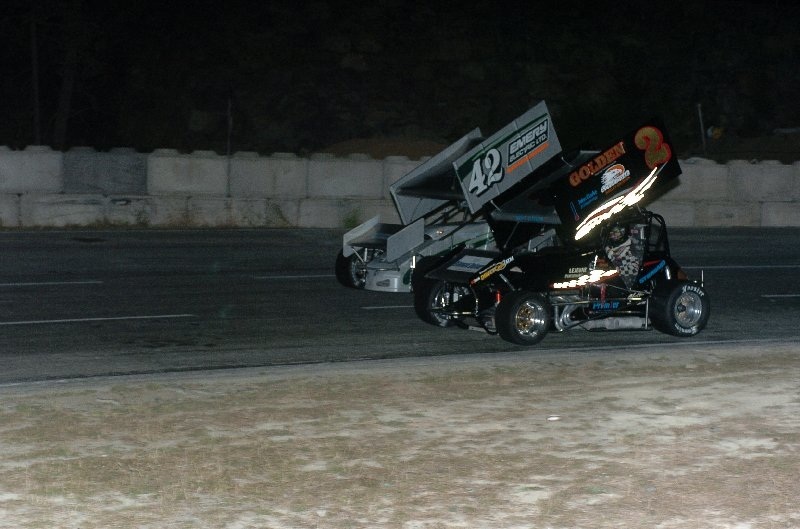 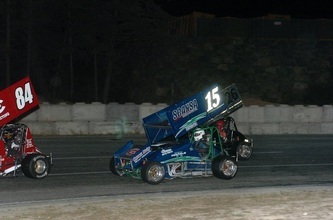 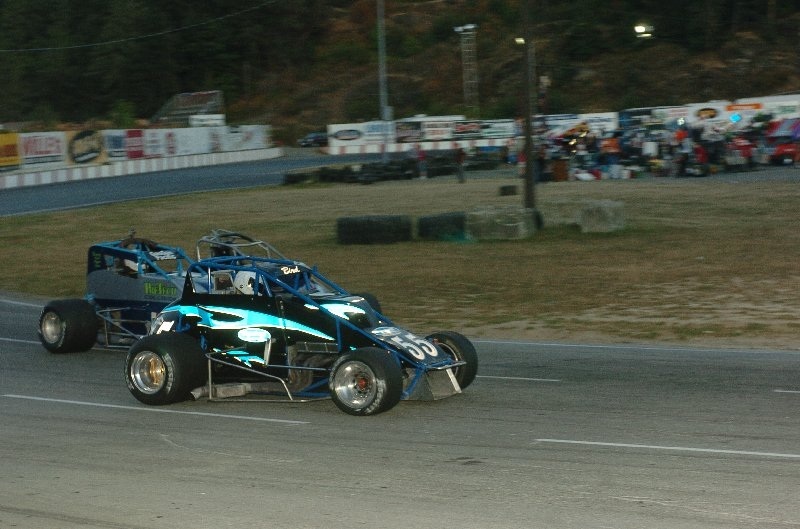 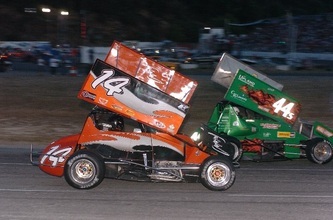 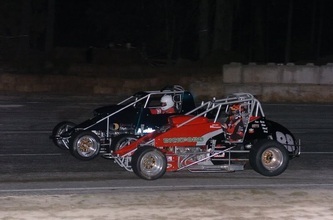 As this was also Championship night for the WilRoc Series, wings and non-wings, Jesse Dardengo took his second WilRoc Lites Championship while Duncan's Darren Yates took the Championship for the WilRoc Sprint Car Series. 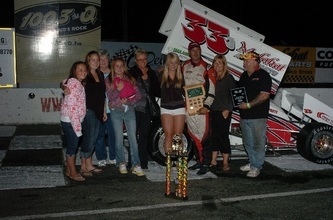 The winners were greeted by members of the Vantreight family, the Rand family, and Trophy Girls, Kaya and Elsa, who presented the various trophies to the Champions.